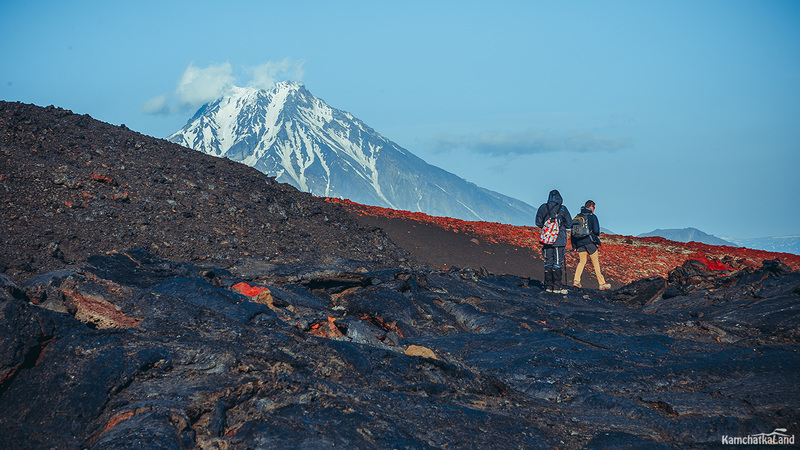 We offer you to take a trip to the severe North of Kamchatka where located the ones of the highest volcanoes all over the peninsula and that by-turn created a surrounding landscape design. 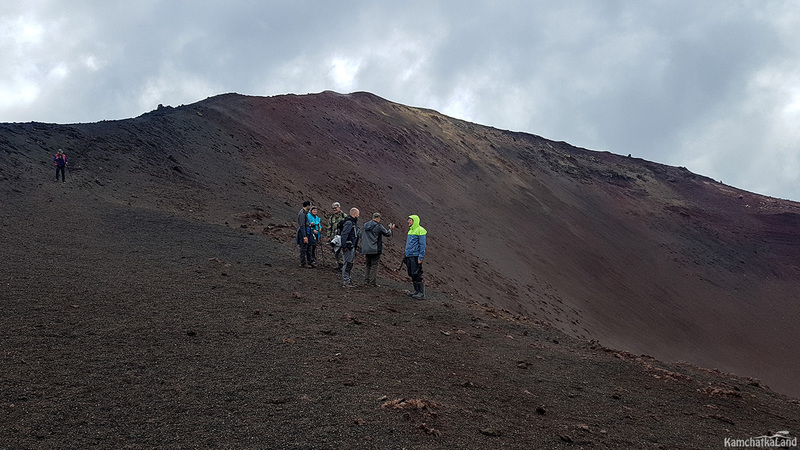 The vegetation along the whole length of the route turns into burnt lava and ground ash, fanciful shapes of stone sculptures and where you can feel how strong and large nature cataclysm is. 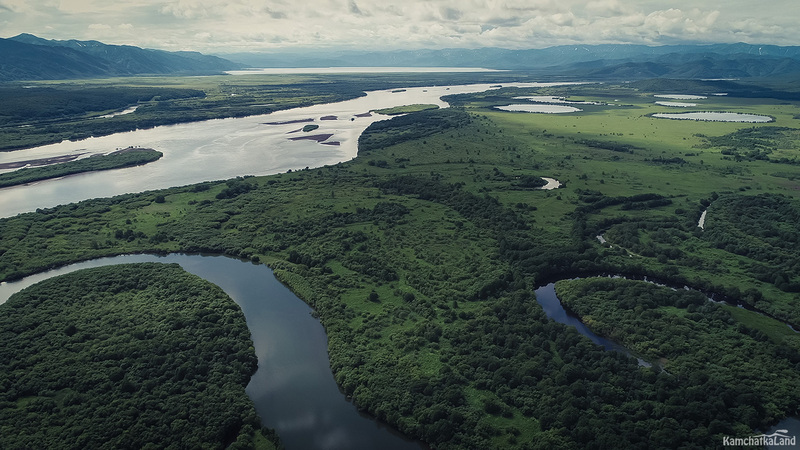 This area has the Kamchatka river basin which is rich in fish and one of the largest lakes - Azhabachye where we can go on a boat trip along. 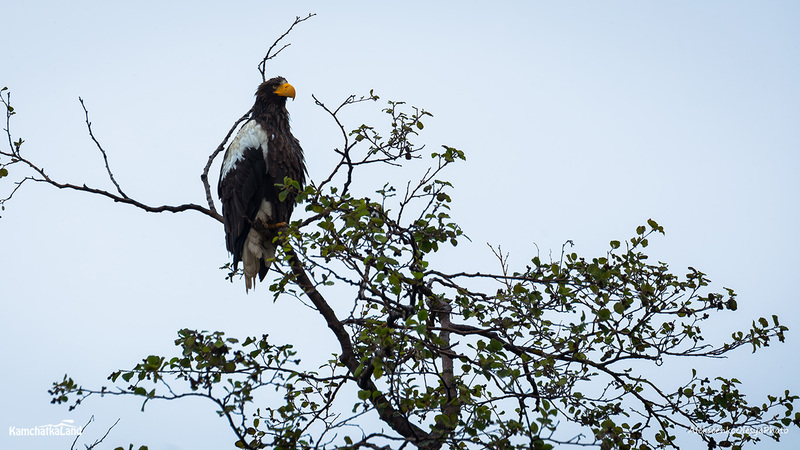 There are Steller’s eagles, nesting along the shore of the lake, as well as roaming bears-fishers which you will be able to see. 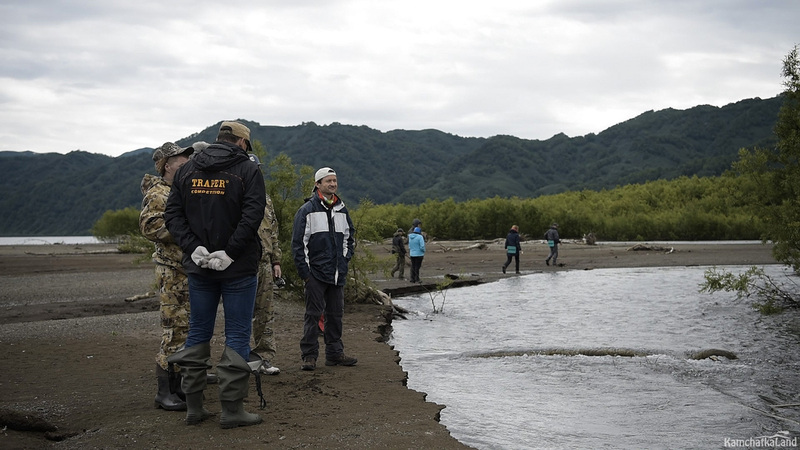 We begin our acquaintance with Kamchatka from a visit to indigenous people of the North and where you are invited to take part in purity ceremony and taste national cuisine in jurt beside the fire. 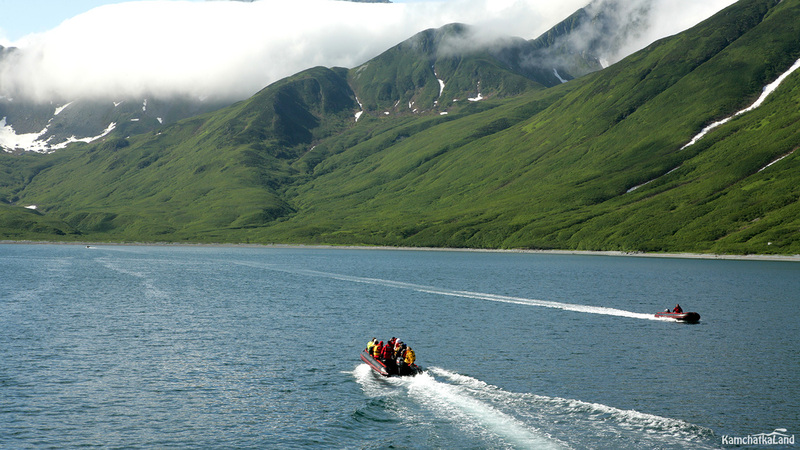 The tour is rated as moderate hiking: we go by a vehicle, boat and do round trips light. Day 1. Meet at the airport. Accommodating you in resort area. The tourists arriving earlier than 13:00 can join a group going on a trip to Khalaktyrsky beach. Other tourists accommodate in hotel on arrival. Day 2. 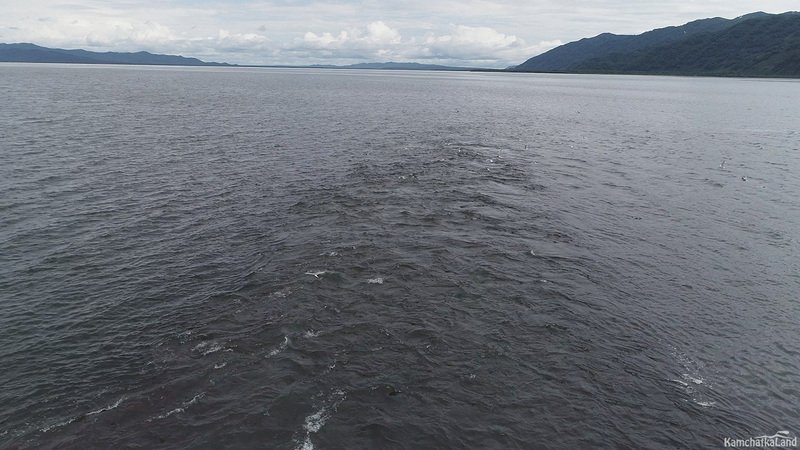 From Petropavlovsk-Kamchatsky heading to Esso village. A visit to ethnographical museum in Esso (if we have enough time). Overnight in resort area. Day 3. 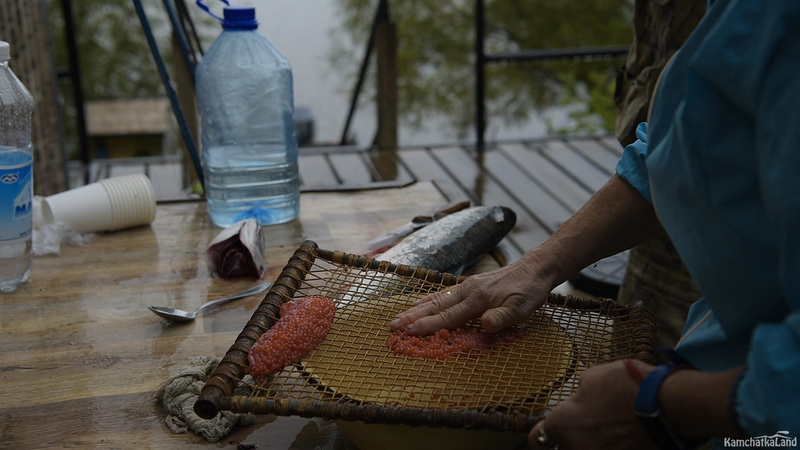 A visit to the Even’s ethnographical nomad camp. 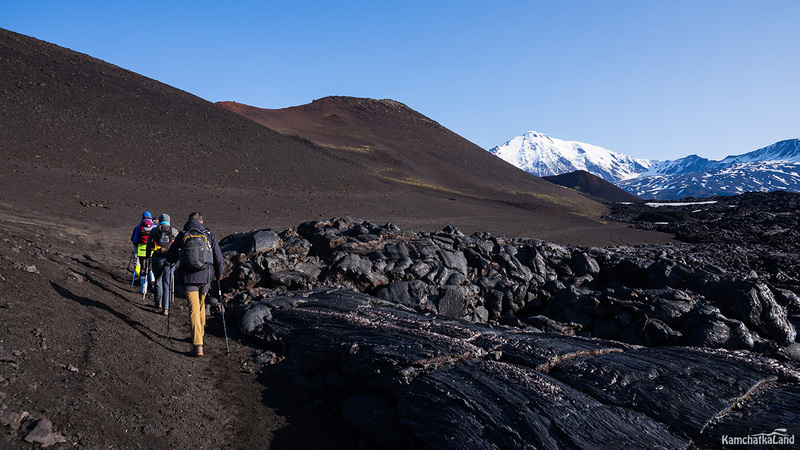 Heading to international tent camp named as Сlaw located at the foot of Tolbachik volcano. Tent accommodation. Day 4. 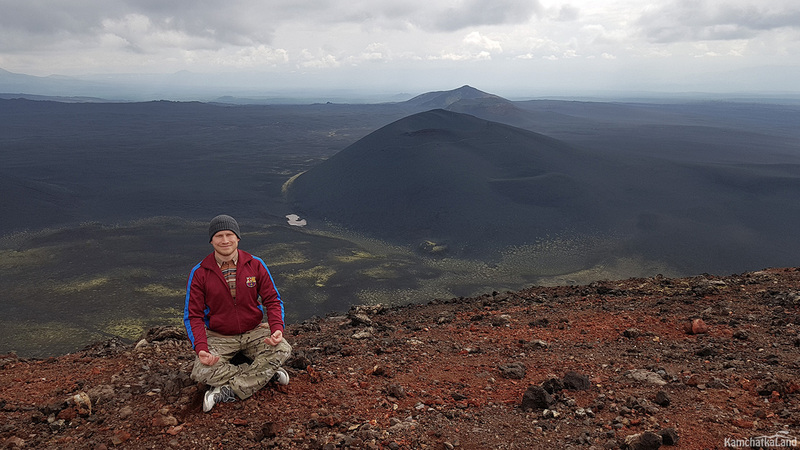 Climbing Plosky Tolbachik volcano. Overnight in a tent. Day 5. A trip to the area of Northern Breakthrough, hot cone watching, lava tubes and Dead forest visiting. Overnight in a tent. Day 6. 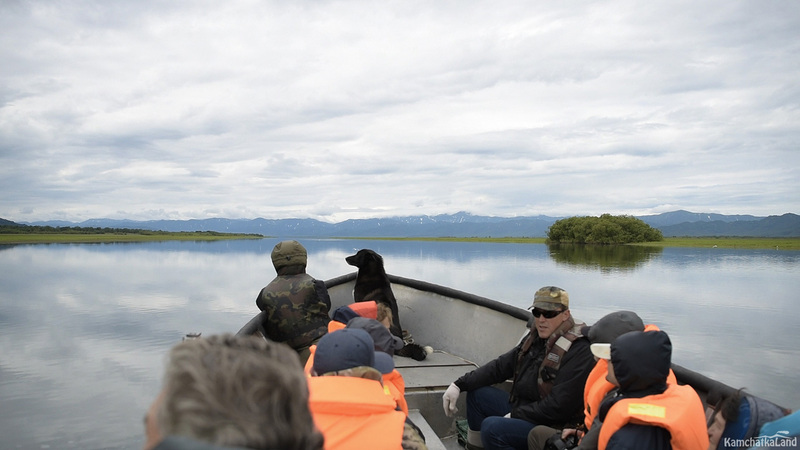 Heading to Kluchi village and then going along the Kamchatka river by a high-speed boat to reach our resort area. Relaxing in bathhouse. Overnight in resort area. Day 7. 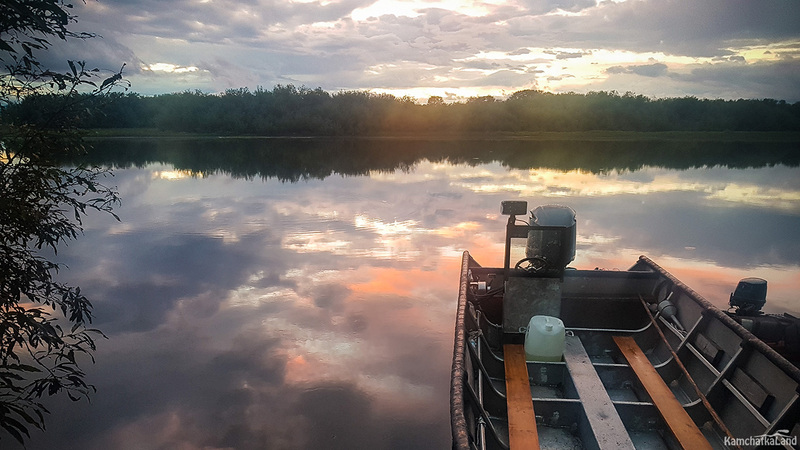 A boat trip along the Azhabachye lake, the spawning run of salmons and bear watching, a visit of wooden church of Nizhnekamchatsky ostrog (stony town) of 18 century. Overnight at the resort base. Day 8. 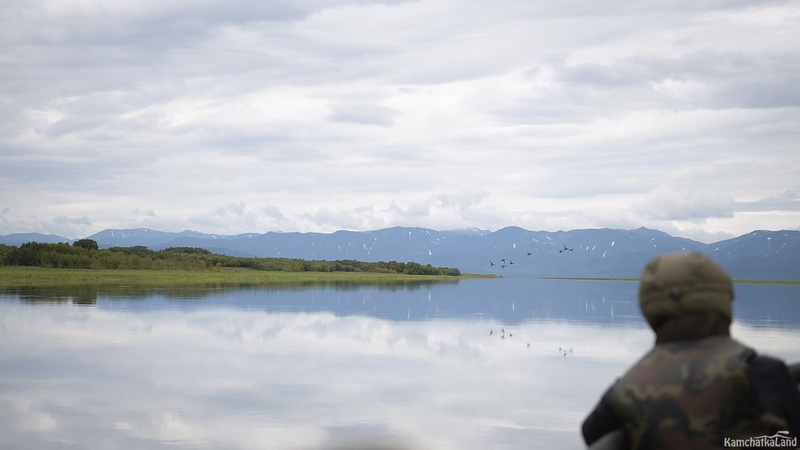 Boat trips along the Kamchatka river and its tributaries, taking photos of Steller’s eagle and spotted seals. Overnight in resort area. Day 9. 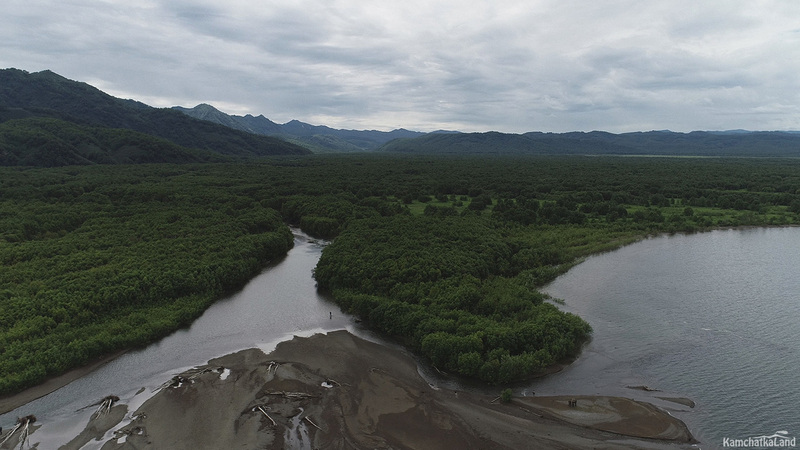 Heading through the river to Kluchi village by a vehicle and then reaching the resort area situated in the surroundings of Petropavlovsk-Kamchatsky city - Paratunka village. Overnight in resort area. Day 10. 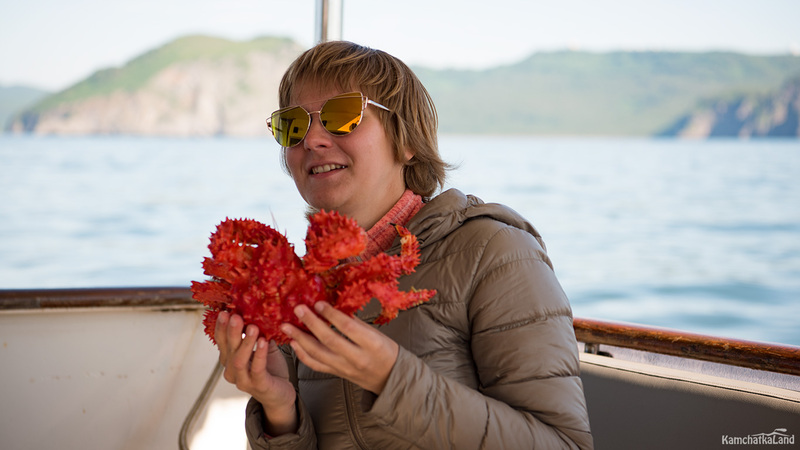 A boat trip over Avachinskaya bay – Starichkov island – Russkaya bay. Overnight in resort area. Day 11. A sightseeing trip over Petropavlovsk-Kamchatsky city. A visit to an interactive museum. Overnight in resort area. Day 12. Transfer to the airport. 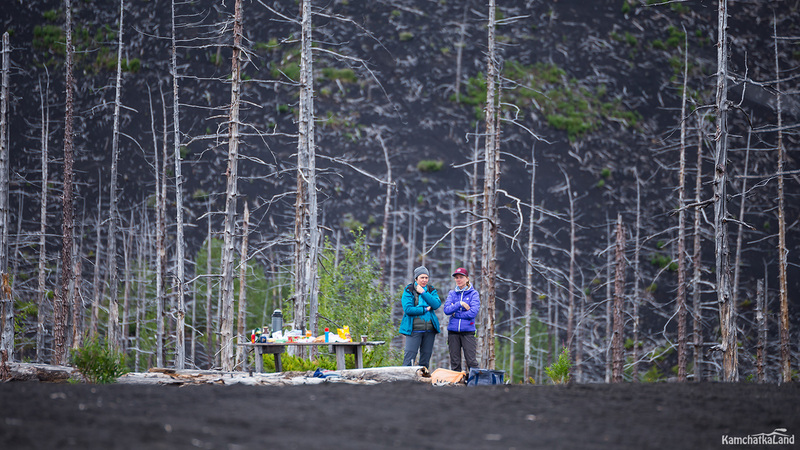 You needn’t to bring group gears such as tents, campfire equipment etc. Basic tourist gears: tents, catering, fire camp equipments etc. Meals aren’t included at the first day and lunches at the local café of Milkovo (2 times), supper on Days: 9-10. You may order lunch that you prefer by menu on those days. We don’t include it because we won’t have fixed meal there. The plane makes a landing at the airport of Yelizovo town. When walking down a boarding ramp you can see the volcanoes surrounding the town. 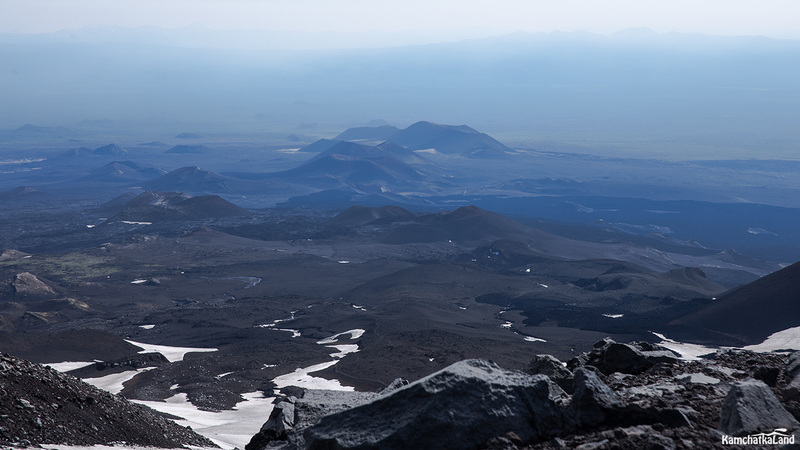 These are Koryaksky, Avachinsky and Kozelsky volcanoes. After claiming your luggage our guide who has a nameplate “Kamchatkaland” meets you at the exit. Transfer you to the health-resort area in Paratunka village. Accommodation in comfortable double rooms. Tourists who arrive earlier than 13:00 may join a group going on a trip to Khalaktyrsky beach located at the coastline with black-grey color sand. The Pacific Ocean starts here. 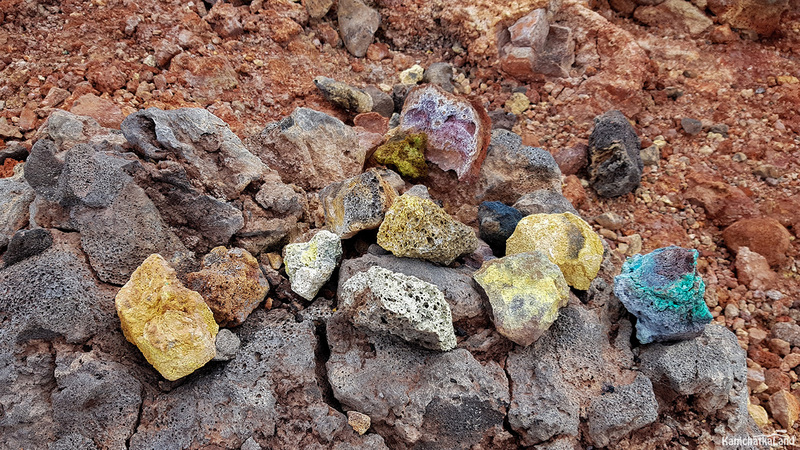 An interesting feature of this sand is a content of ferric magnetite and titanomagnetite. If you take a magnet and bring it closer to the sand it will be fully covered by sand grains. The ocean water is cold but during warm days there are many people who wish to dive there. 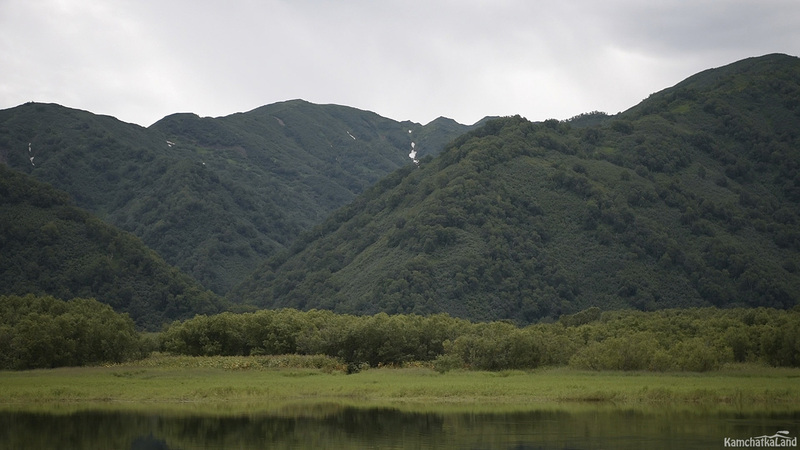 This is a very stunning place and in spite of remoteness from the city attracts a lot of people. 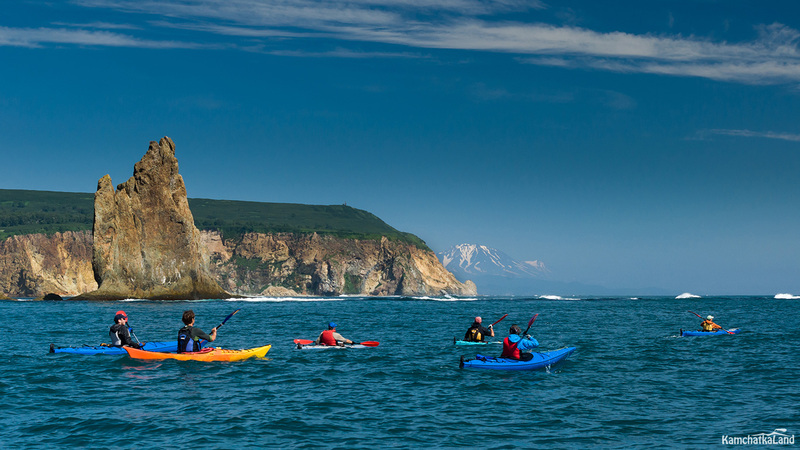 Some of sights there: surf-camp, visit-center, observation rock where mountaineers practice their skills. 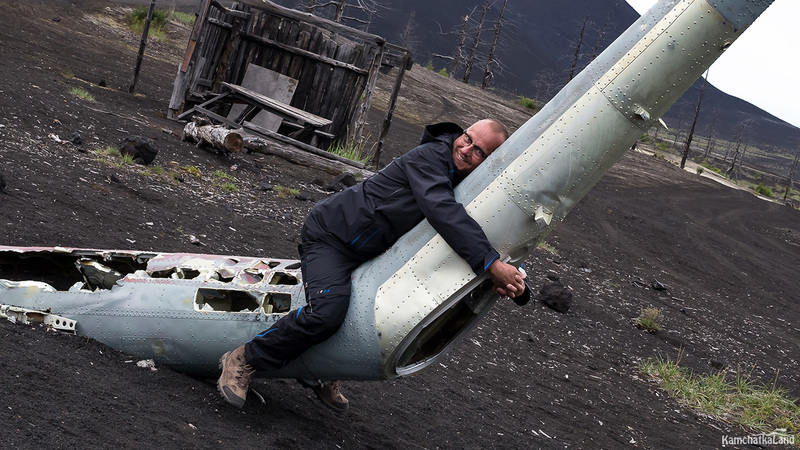 In the evening when all the travelers arrives in Kamchatka (if the flights’ time are different), we will have a meeting, get acquainted, test our travel gears and discuss our route passage. Today our journey to the North begins. We leave at 7AM. By that time you need to have breakfast and be prepared to go. This day we are going to ride 500 kilometers to Esso village. On the way we will make some short stops: in a well-known bakery located in Sokoch village and also have lunch in the local café of Milkovo village. 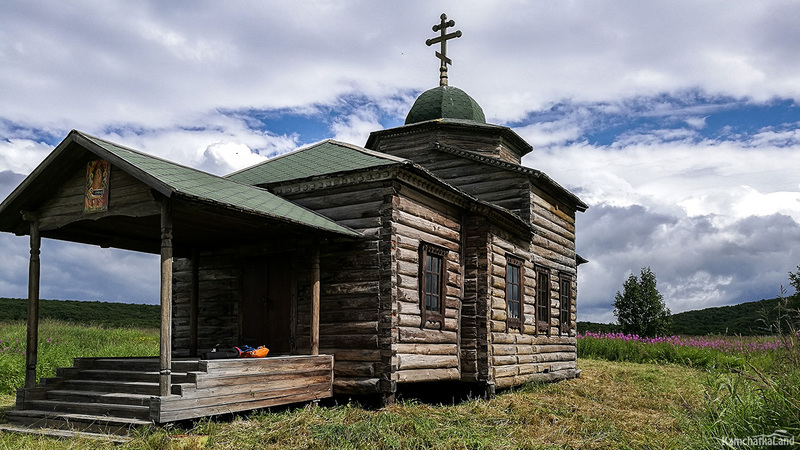 If we reach Esso village without any other adventures on the road and have leisure time then we may visit to ethnographical museum built in wooden Russian architecture style and harks back to time of Cossack ostrog. 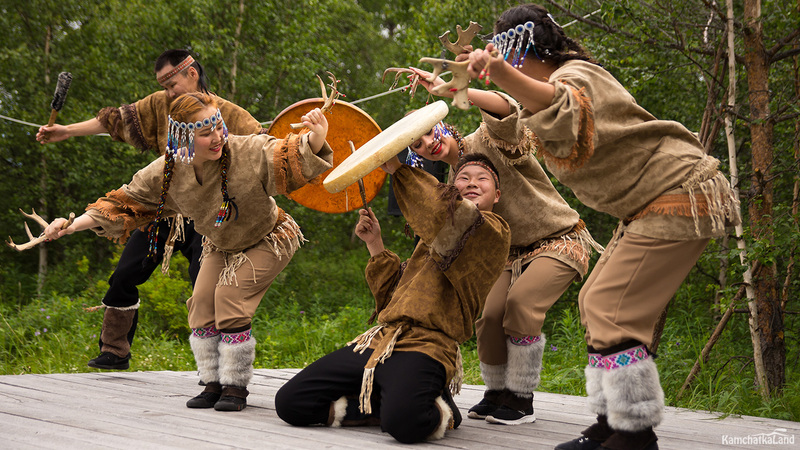 The museum houses the expositions of indigenous peoples such as Koryaks and Evens. 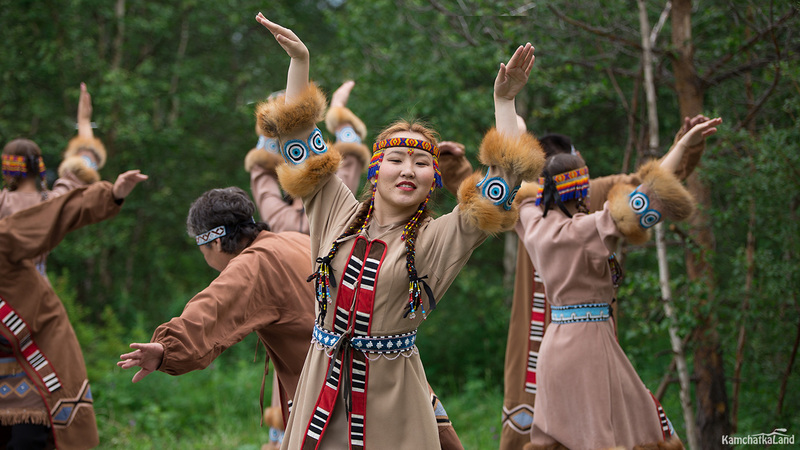 We get known how Kamchatka peoples lived there during old times and get acquaintance with their way of life. This is the largest museum collection all over the peninsula and it keeps many secrets and mysteries. It contains of 2046 exhibits but unfortunately not all of them are displayed. We start our acquaintance with culture of the North Lands form there. We spend a night in a hotel with swimming pool and double rooms. Day 3. 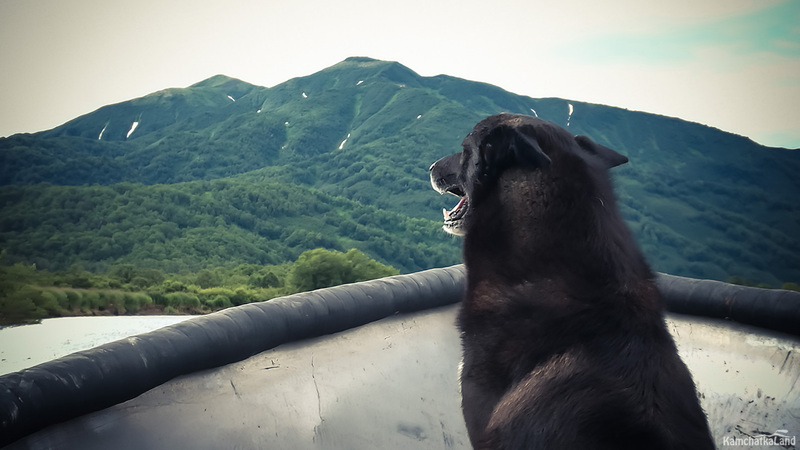 A visit to the Even’s ethnographical nomad camp. 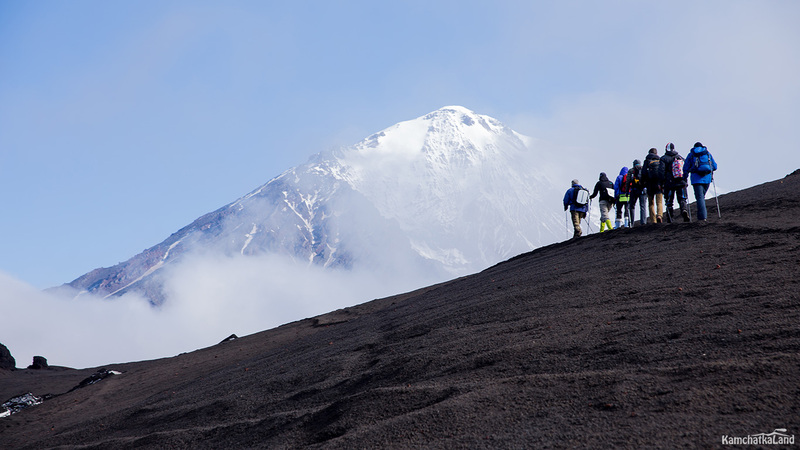 Heading to international tent camp named as Kleshnya located at the foot of Tolbachik volcano. Tent accommodation. 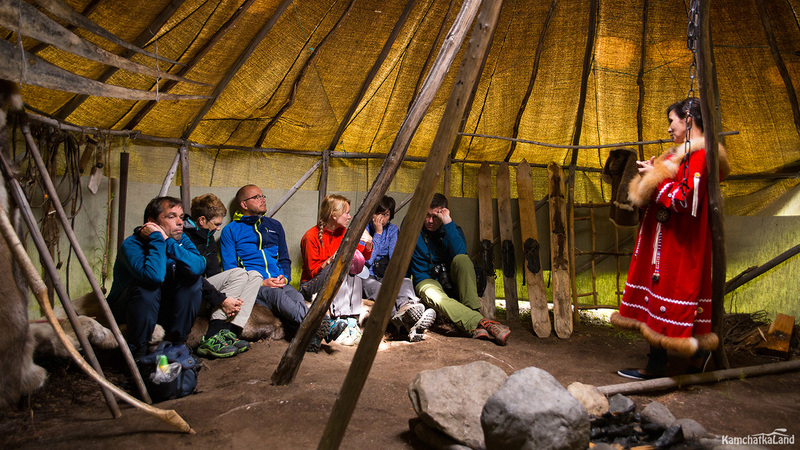 We go on our immersion into the north legends in ethnographical nomad camp. Acquaintance with Even’s customs begins with taking a purity ceremony: jumping over small fire where bad energy is burnt and fan you with a fuming branch of juniper keeping evil spirits away. After watching jurt and yaranga where nomads lived during old times we listen to artist’s stories who are members of ensemble named as Nurgenek and take part in their concert program with singing and dancing. Finally, we have lunch cooked of national cuisine and drink Kamchatka herbal tea. 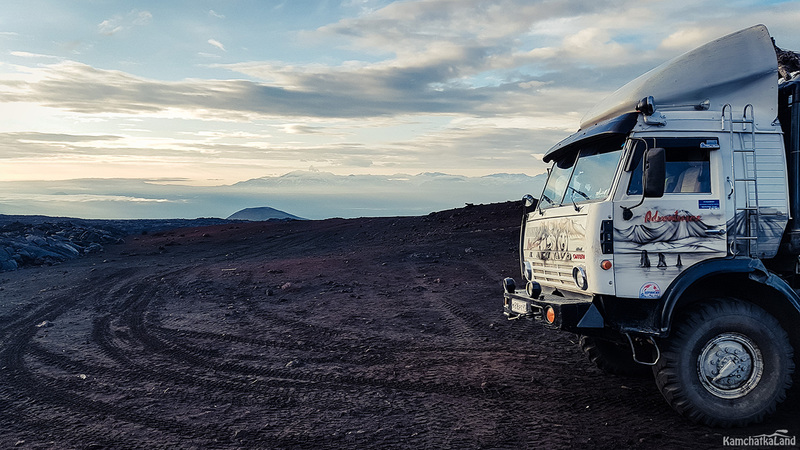 We leave nomad camp and head on to the barren area of Tolbachik volcano. 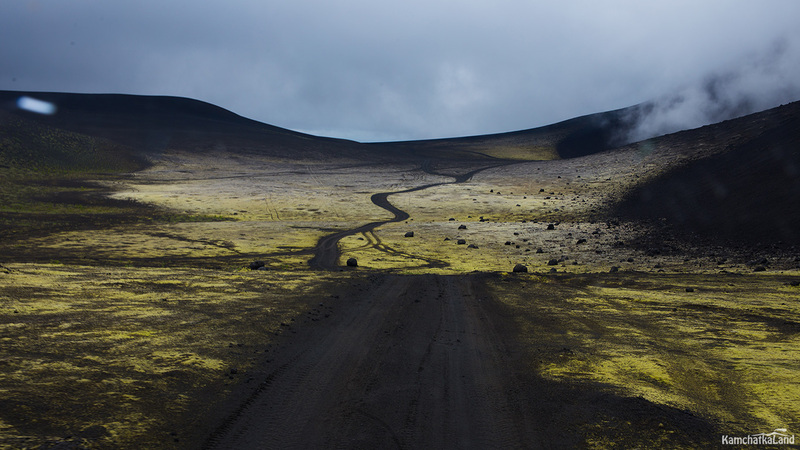 On the way, you can not only see but you can feel how thick forest changes into the bare landscapes burnt by lava and ground ash. 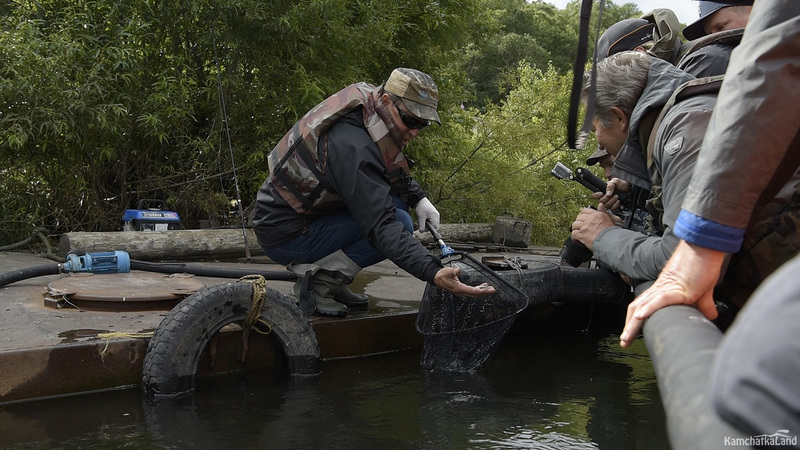 We ford a few rivers by the vehicle. By evening we get to Tolbachik valley. 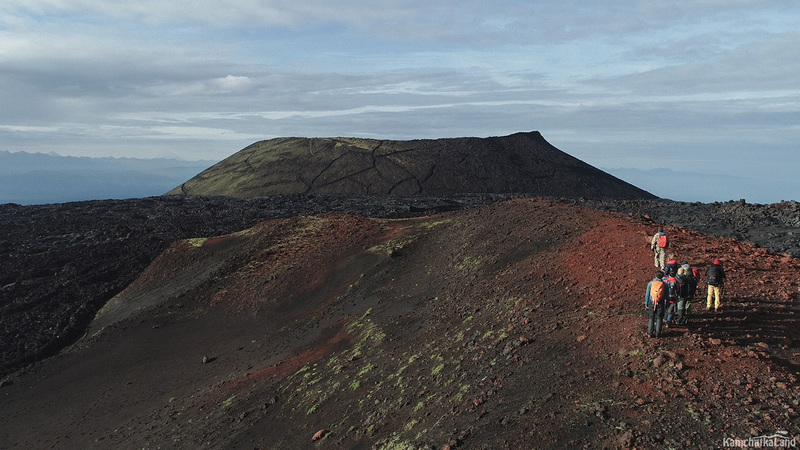 This plain was formed by lava which expanded from the foot of Tolbachik volcano to the South-West after its eruption. 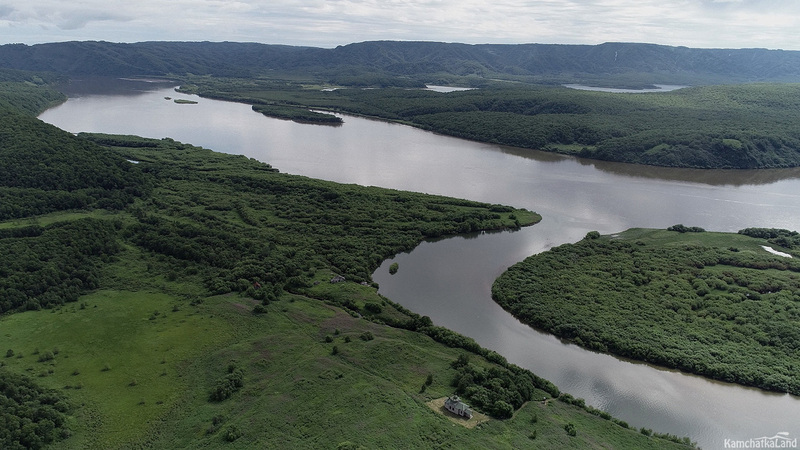 The plain is surrounded by Tolbachik and Toluda River Valleys. 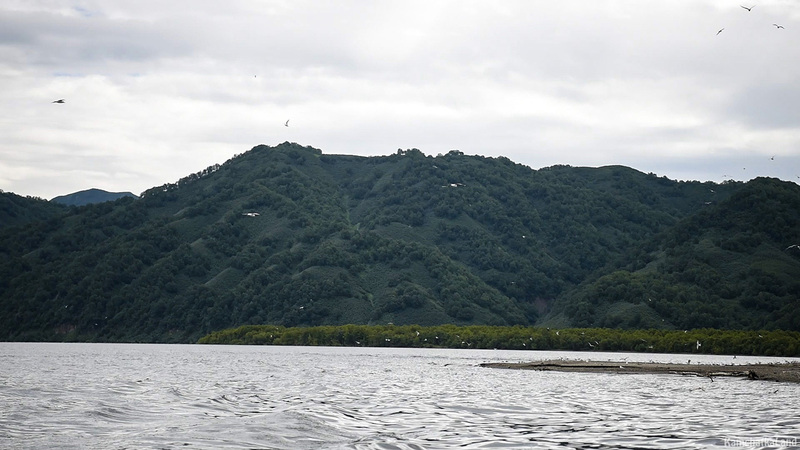 The area of Tolbachik valley has dimensions of 45 kilometers long and 30 kilometers wide. 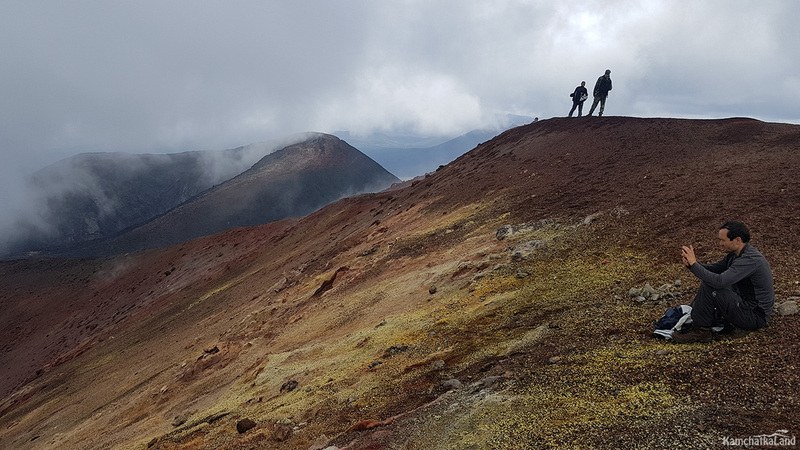 The height of the Valley is 2000 meters where it joins the volcano, but near the Tolbachik River its height is about 100 meters. 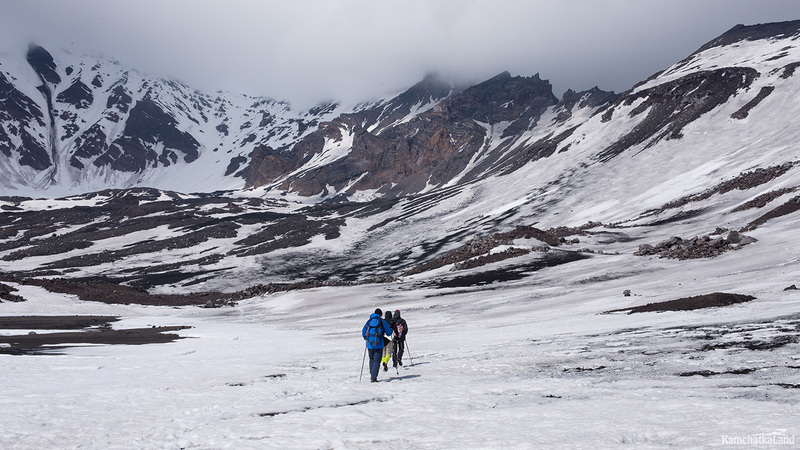 Tolbachik Valley is remarkable for its numerous cones which make people feel small among the giants. 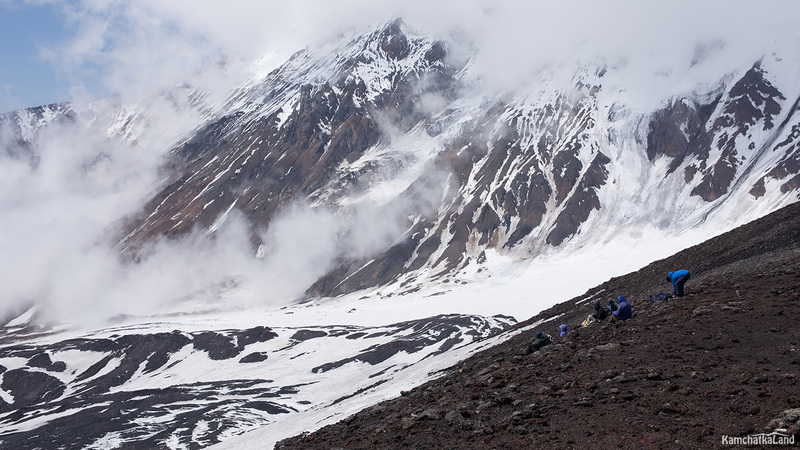 We will go to the Сlaw cone and base a camp. From here we can observe other cones, such as: the cones of the First and the Second Northern Breakthrough, Alaid, Vysoky. After dinner we will have the rest. Spending a night in tent camp near Сlaw cone. You can meet tourist from all over the world there. Early rising, breakfast and preparation for climbing. 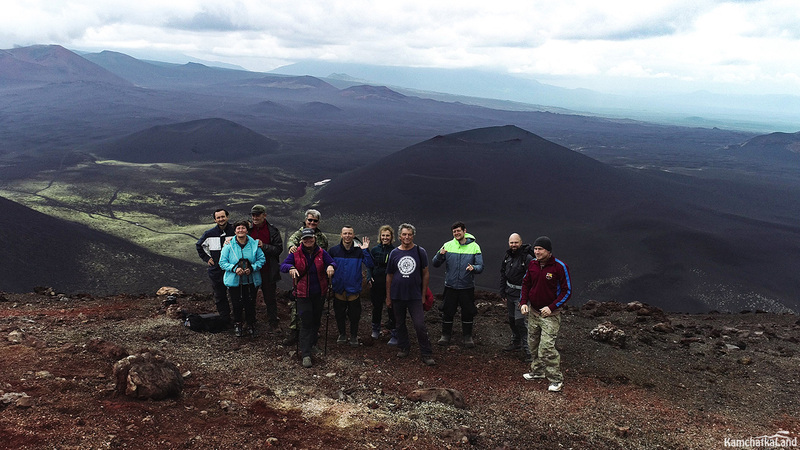 Our goal is conquering Plosky Tolbachik volcano. 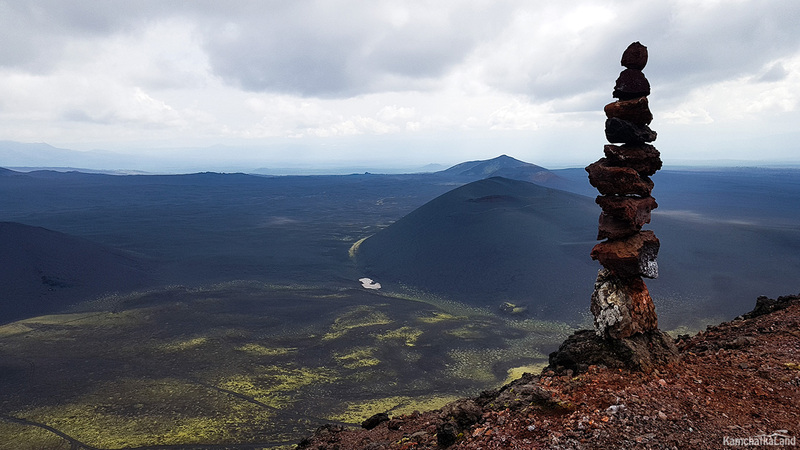 Permanent activity of the volcano changed it into the conglomerate of lava formations and cinder. 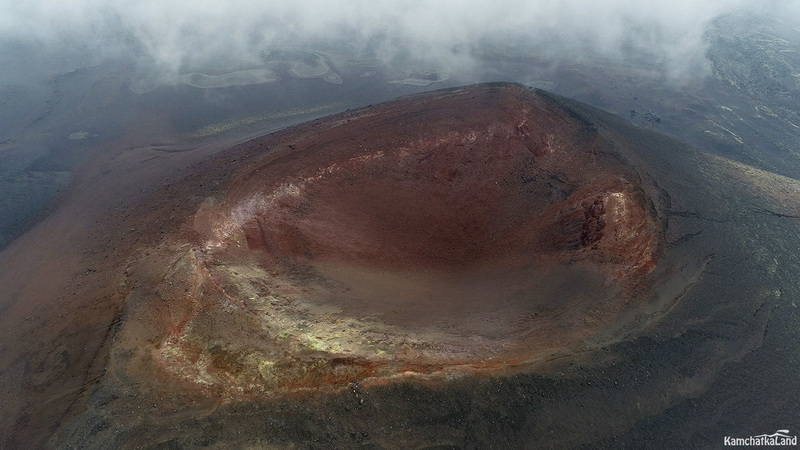 The volcano has a flat top which forms the caldera of 3 kilometers in diameter. 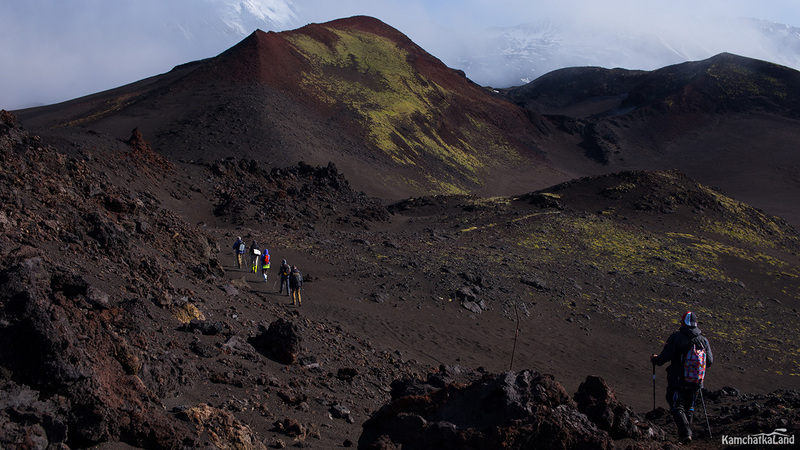 The caldera was practically filled in the result of numerous eruptions. 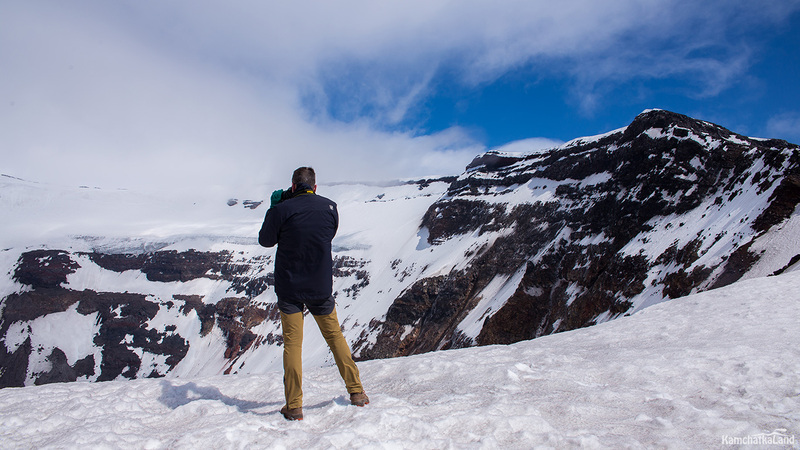 The glacier is the top part of the volcano. 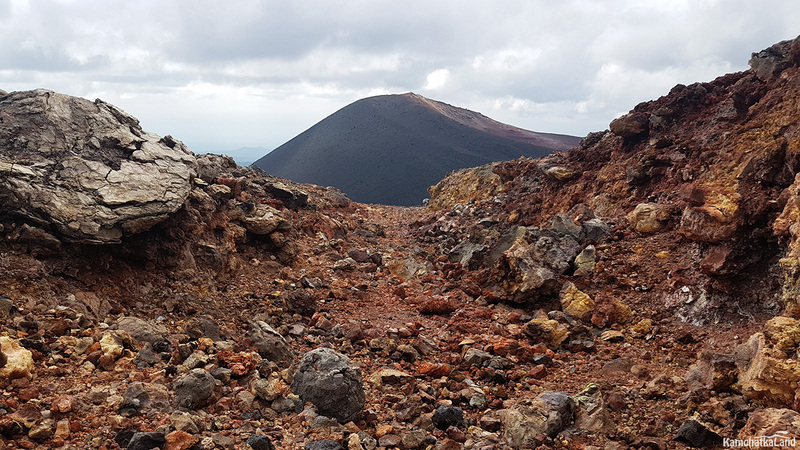 There was a small active crater (350 meters in diameter) till 1975, but after the great fissure eruption the part of the volcanic top was collapsed. 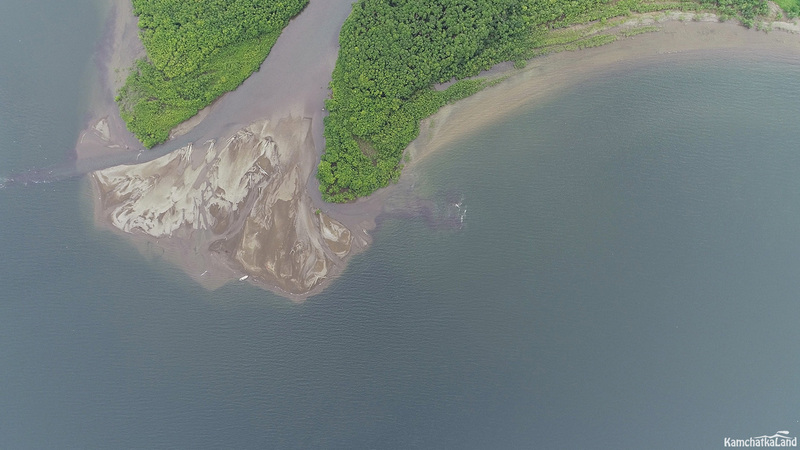 Therefore the precipice of 1,8 kilometers wide was formed. 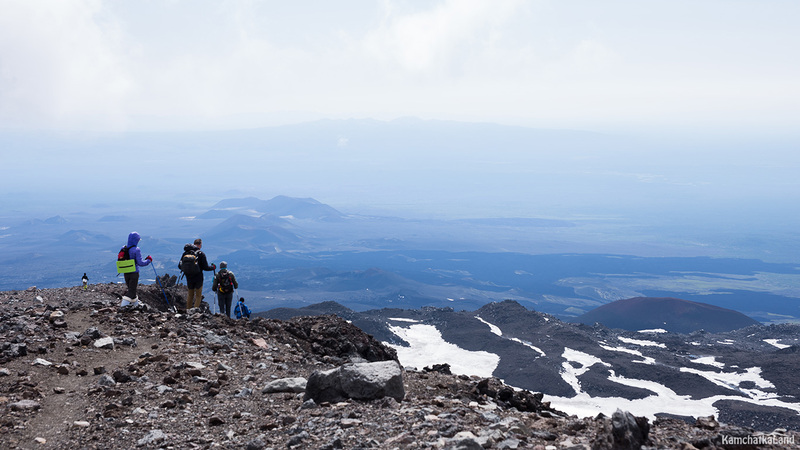 At first volcanologists were observing a lot of fumaroles and a forming crater lake with amazingly blue color. 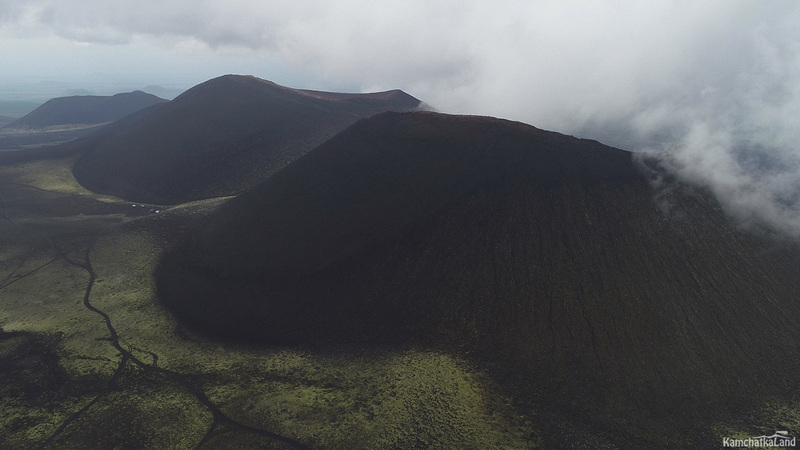 But this process had not come to an end and now there is no crater and the fumaroles don’t display any activities. 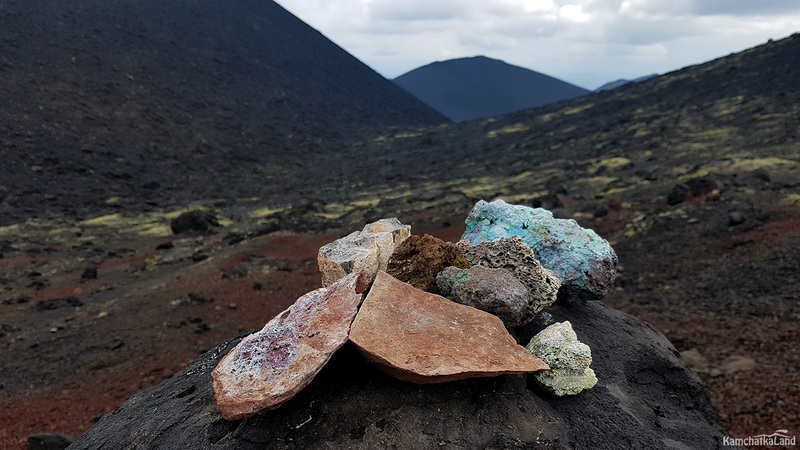 There is a large quantity of the cinder cones (more than 120) which are on the slopes of Plosky Tolbachik and Tolbachik Valley. This is due to the collateral breaks. 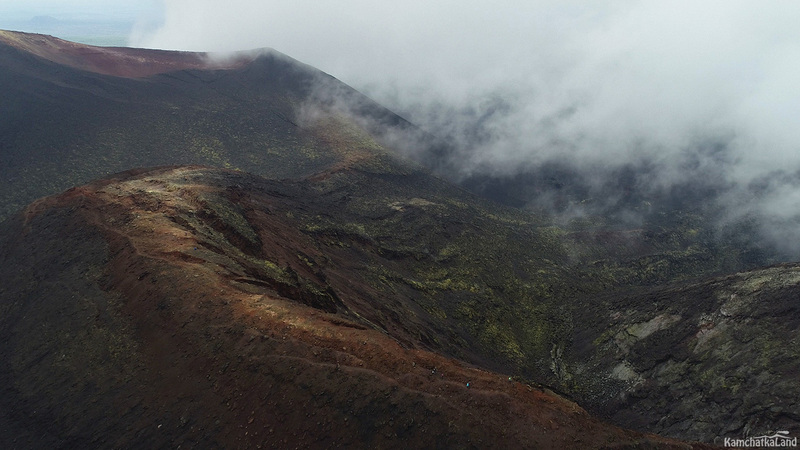 The first eruption was recorded in 1740 since then it has happened a lot. The eruptions mainly were a kind of ash. The crater lakes were formed rarely. 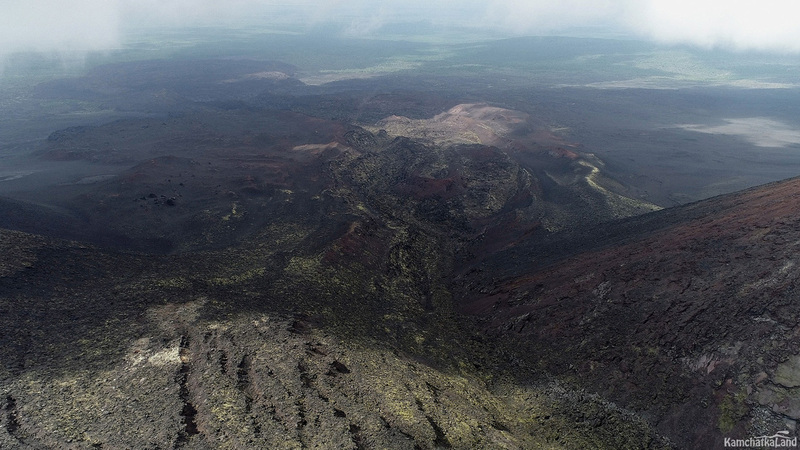 The most massive eruption happened in 1975 for the entire observation period. It was named as the Great Tolbachik Fissure Eruption. Just as a result of this dramatic event the cones of the Northern and Southern Breakthrough , which we will be able to see, were created. 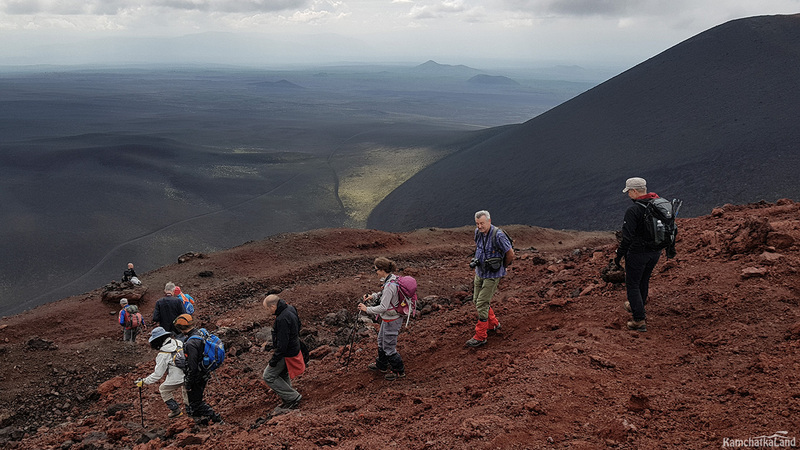 The last strong activity was recorded in 2012 and referred to the Fissure Eruption named “50th Anniversary of the Institute of Volcanology and Seismology”. 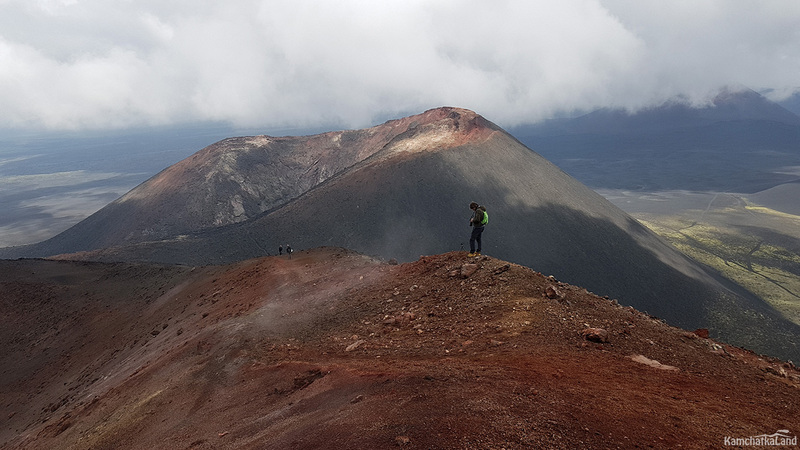 Ascend the top of the volcano will be unforgettable journey for you. On arrival all the tourists must listen to safety briefings. We recommend you to stick those rules which instructor tells you. Climbing the slope will begin after briefings. 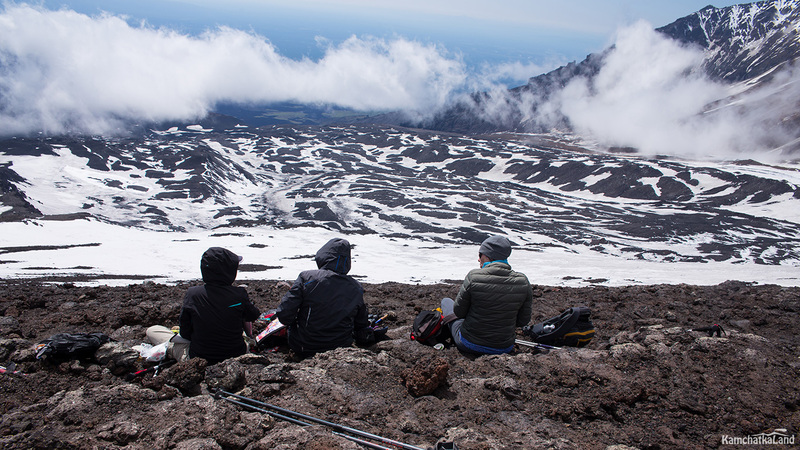 After climbing the top, we will have a snack, then take a look around views which are our reward for all our efforts and it remains in our memory forever. This is a beauty the existence of which is just amazing. People arrive here from far away to enjoy it the beauties of nature. Then we will climb down and return to the camp. After having dinner we will spend the second night in the tents. Day 5. A trip to the area of Northern Breakthrough, hot cone watching, visiting lava tubes and Dead forest. Overnight in a tent. After having breakfast we will go by vehicle to the cones of the Northern Breakthrough. 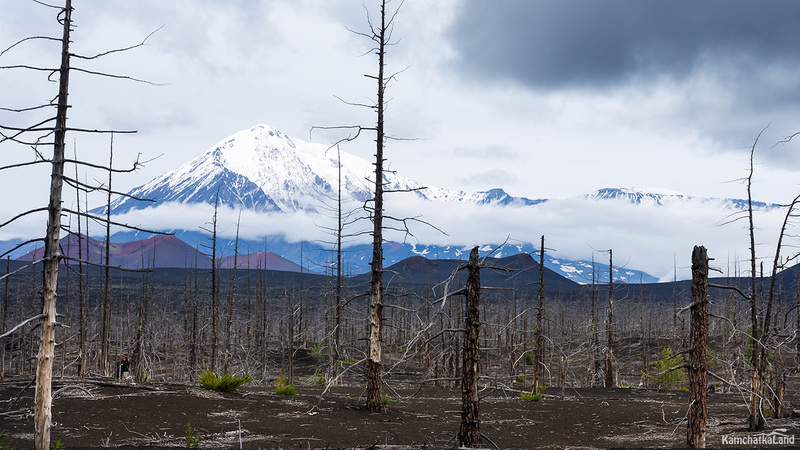 The Great Tolbachik Fissure Eruption had been lasting for a year and a half: from July 1975 to December 1976. 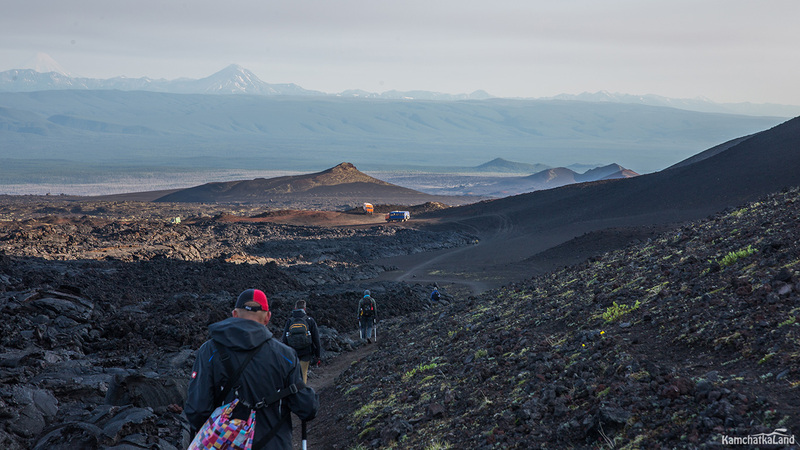 As a result it created many different cones, including one of the largest cones, the Northern Breakthrough, and lava fields. Now the cone keeps its activity and you even can hear its “breath” and feel heat from the ground. 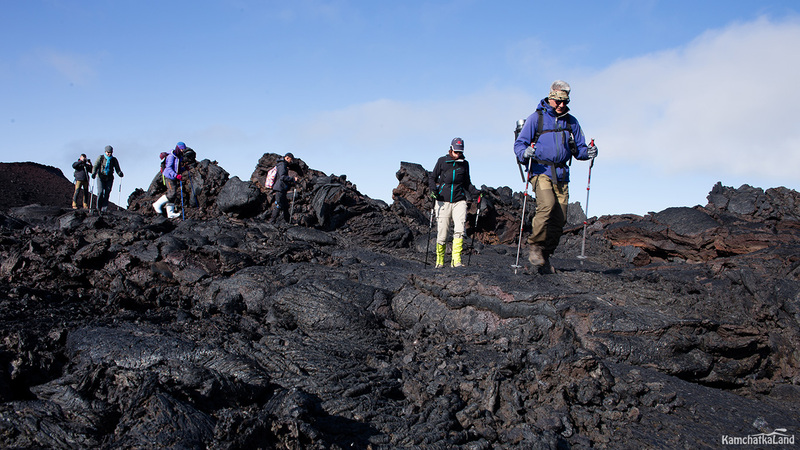 You will be able to stand in the immediate vicinity of the volcanic activities. 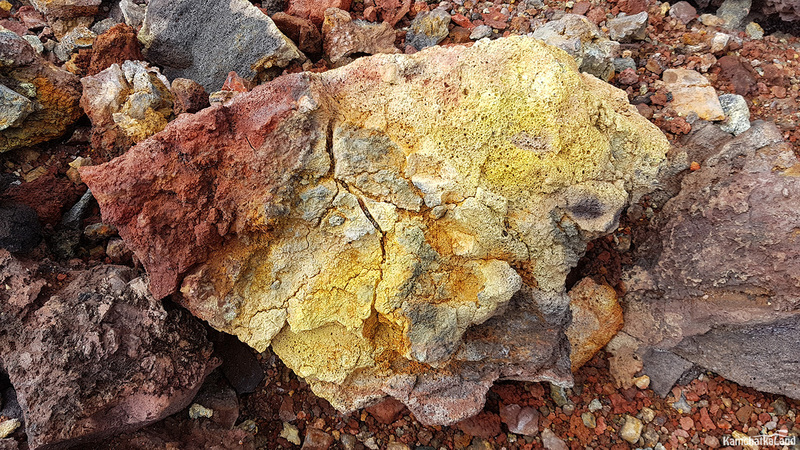 There are fanciful forms of cinder and volcanic bombs and you can also feel sulfur smell. Moreover you will be able to feel the hot ground through your shoes with hard soles. 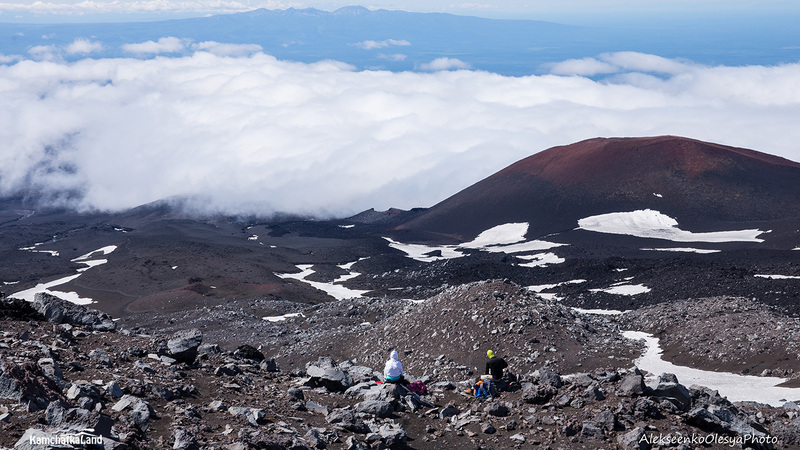 After climbing down we will have a dinner at the foot of the volcano. The next goal is the cone “Zvezda” (the Star) and lava tubes. 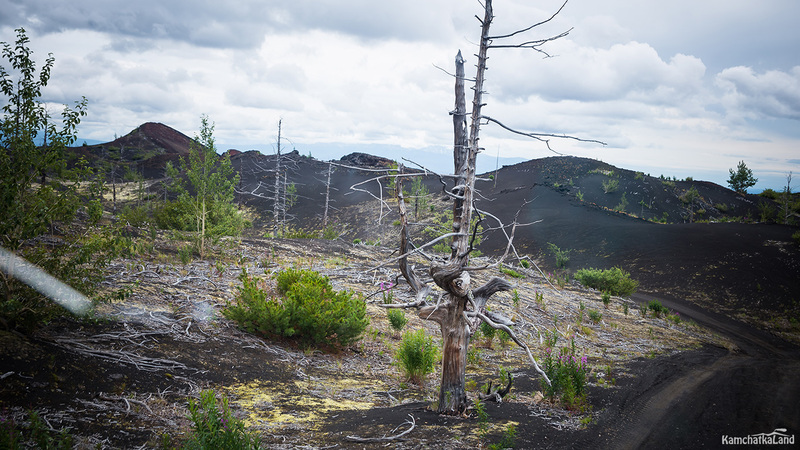 The Great eruption destroyed every living thing within a radius of the few kilometers. The forest was burnt: heartwoods were scorched; bushes, herbs were bared. Now this place is named Dead Forest. 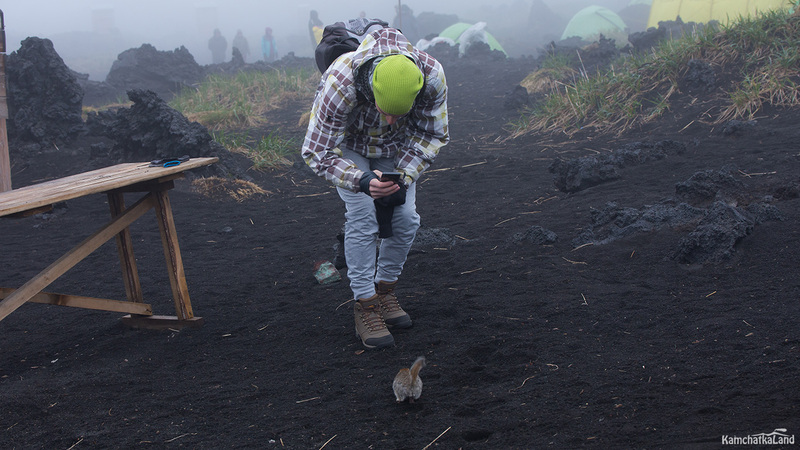 Before the eruption animals left their places because they feel a future danger thanks to their instincts. The formed lifeless landscape gave an idea to organize a test area for spacecrafts in the time of the Soviet Union. Thus the base was built for testing a moonprobe, and then it was moved to another place. 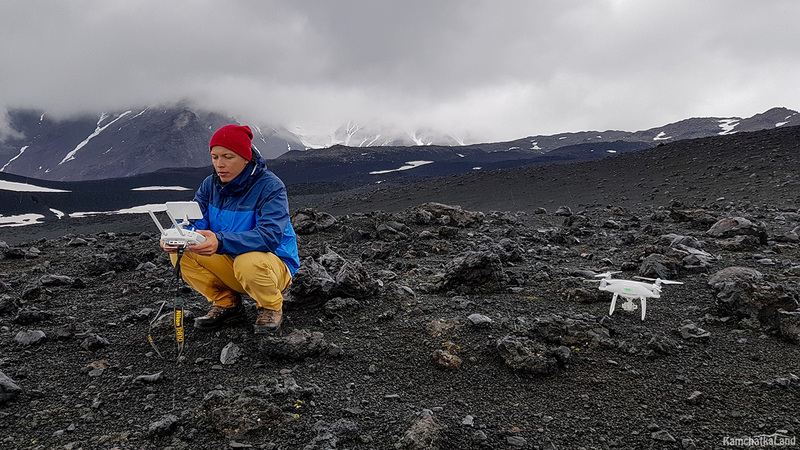 Unfortunately, it is impossible to visit the old base because it was vanished under the lava in the time of the eruption of 2012. 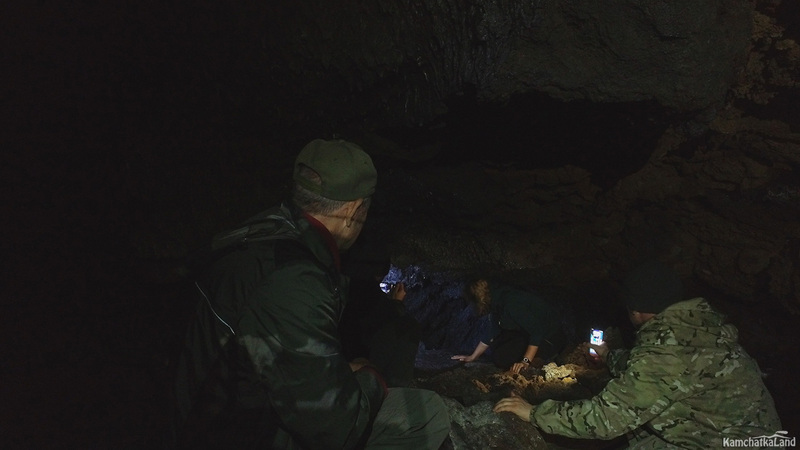 But in this area we go under the ground and walk along the lava tubes. Having watched these impressing places we can return to the camp by evening. After having supper we will spend the last night in the tents. Day 6. 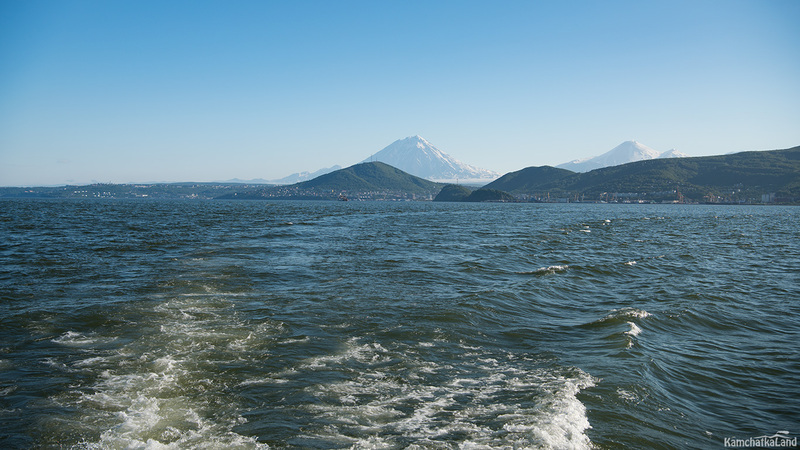 Heading to Kluchi village and then going along the Kamchatka river by a high-speed boat to reach our resort area. 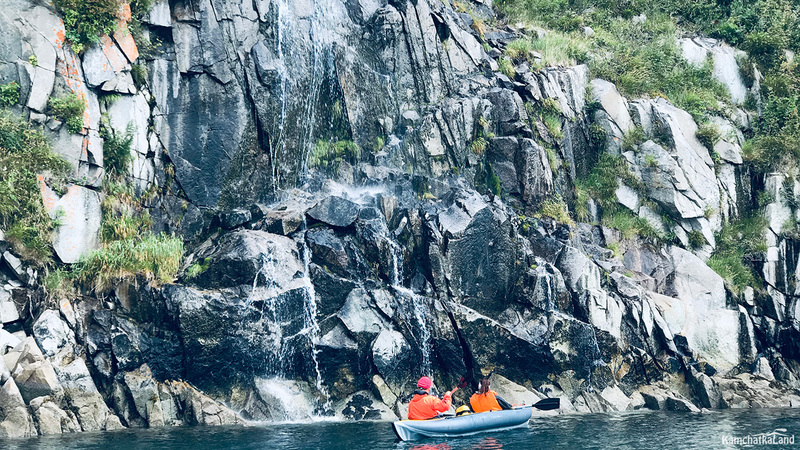 After having breakfast we take down our tents, leave Tolbachik valley and drive on off-the-road to Kluchi village where a high-speed boat picks us up and we reach our destination point in an hour. 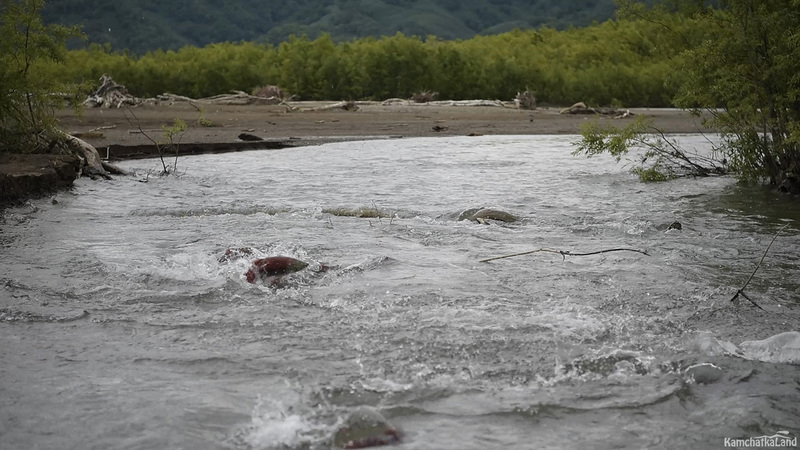 The Kamchatka River is the largest river and the richest in fish of the peninsula, its length is 758 kilometers. 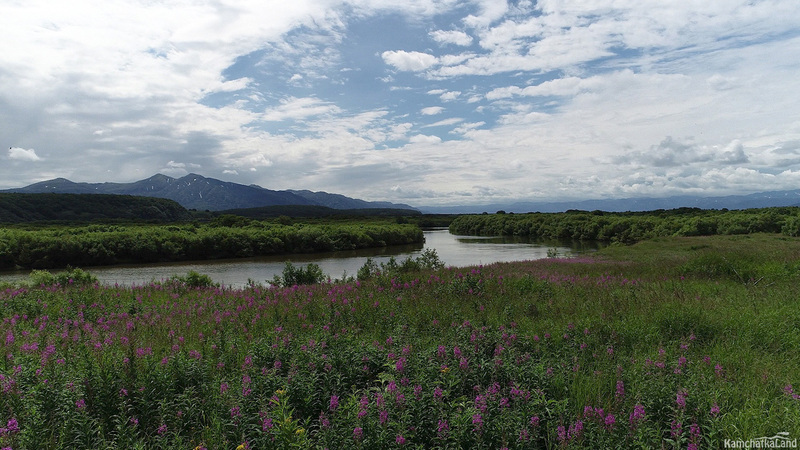 Our resort zone is situated on the bank of the Kamchatka River, nearby with National Park. Accommodation in double rooms. 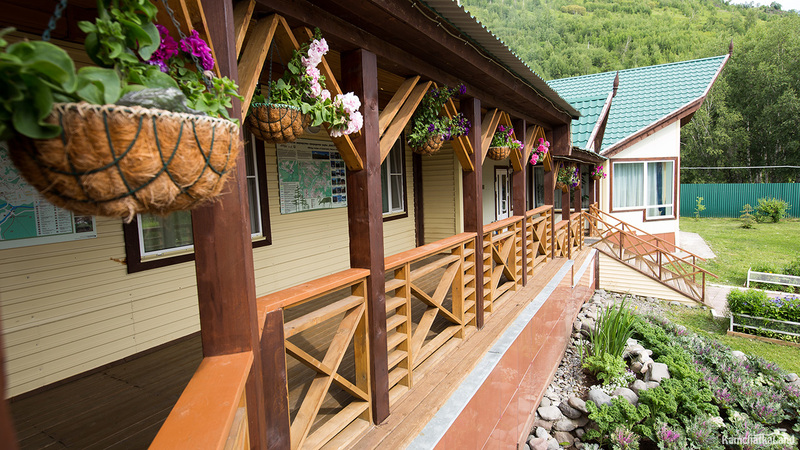 The health-resort zone offers you all the comforts: canteen, electricity supply is available, so you can charge your photographic gears; as well before going to sleep you can relax in the Russian bathhouse (banya). 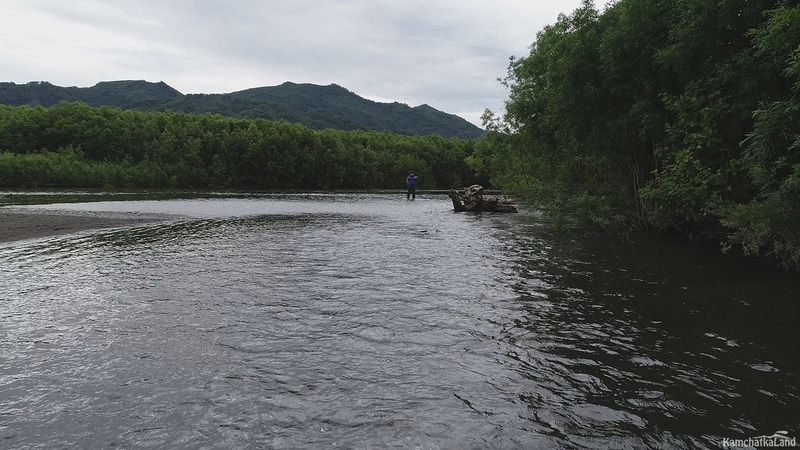 Anyone can try to catch a fish in the evening; fishing is very successful in this area. Day 7. A boat trip over Azhabachye lake. This day is devoted to Azhabachye Lake tour and its environs. 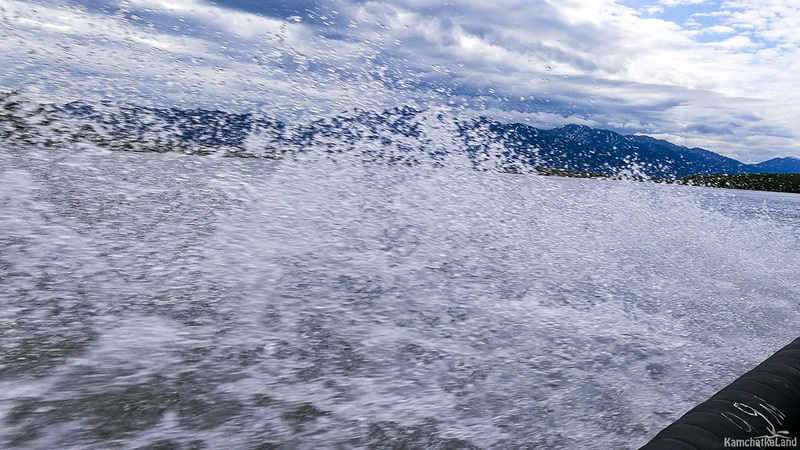 Azhabachye Lake is the fourth largest lake of the peninsula and is under special protection. 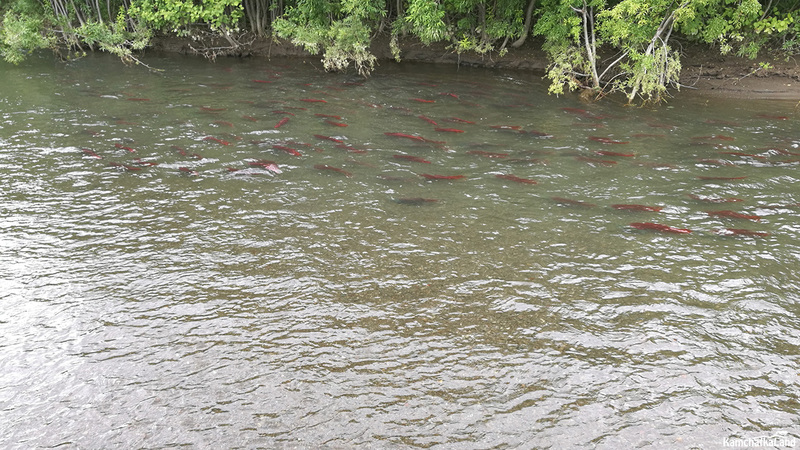 It is situated about 40 kilometers from the Pacific Ocean so every year fishes migrates upstream the Kamchatka River for spawning here. 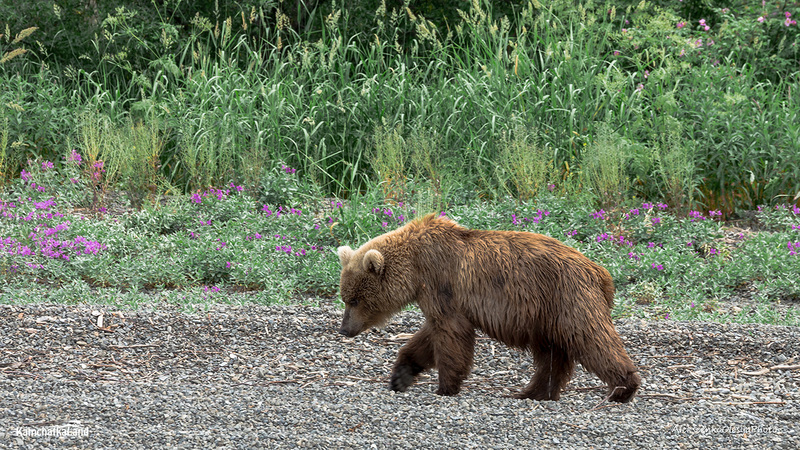 Fish wealth attracts a lot fishers, such as bears and Steller’s eagles. 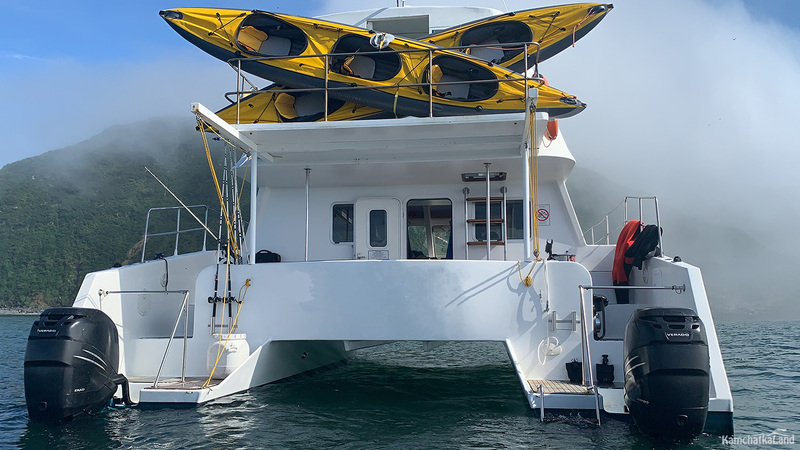 Early morning we will get up, have breakfast and then take a boat trip along the Kamchatka River to the lake. 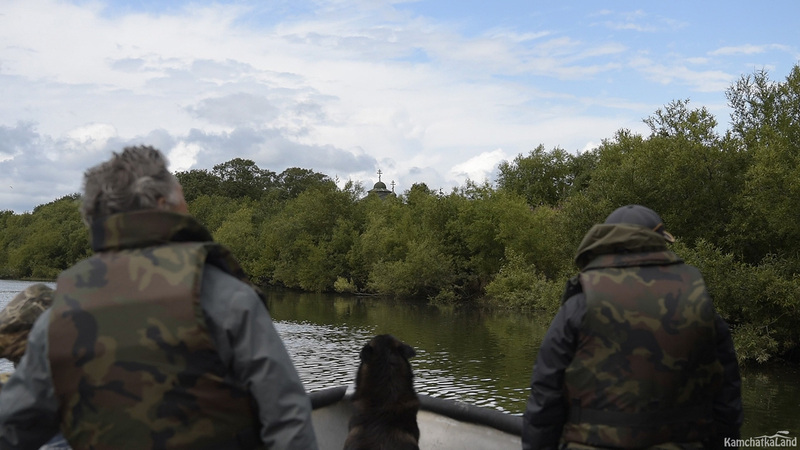 Going by boat we will be able to visit the most interesting river beaches and the banks of the lake, also to find a place with a great number of salmon spawning and, of course, bears-fishers. 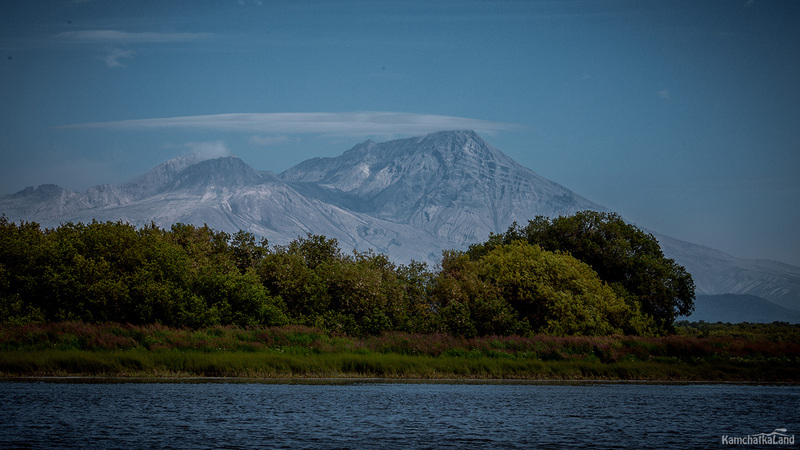 After lake sightseeing tour we will go back to the past, when settlers were opening new territories of Kamchatka. 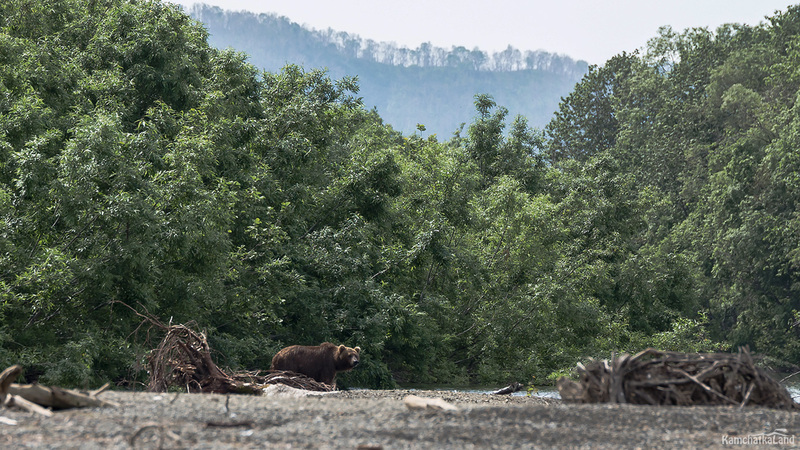 Many years ago Nizhnekamchatski ostrog (stockaded town) was situated on the left bank of the Kamchatka River. 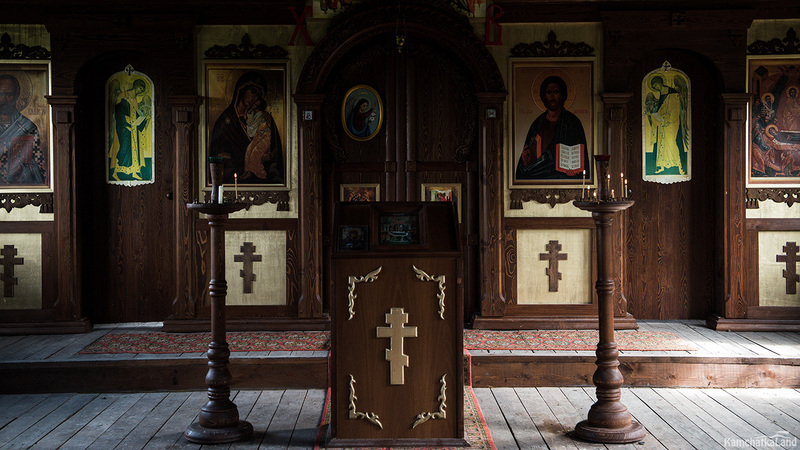 However Dormition Church of Nizhnekamchatski ostrog survived until our days. This is the only monument of wooden architecture, which passed down to us through hundred years. 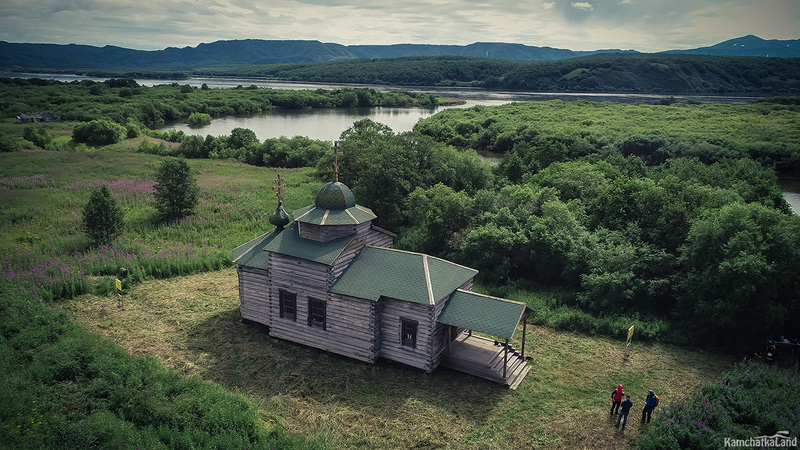 The church was built in 1737 and was consecrated by clergyman, Ermolai Ivanov on 15th of June, 1741. Come back to the health-resort zone by evening. Day 8. 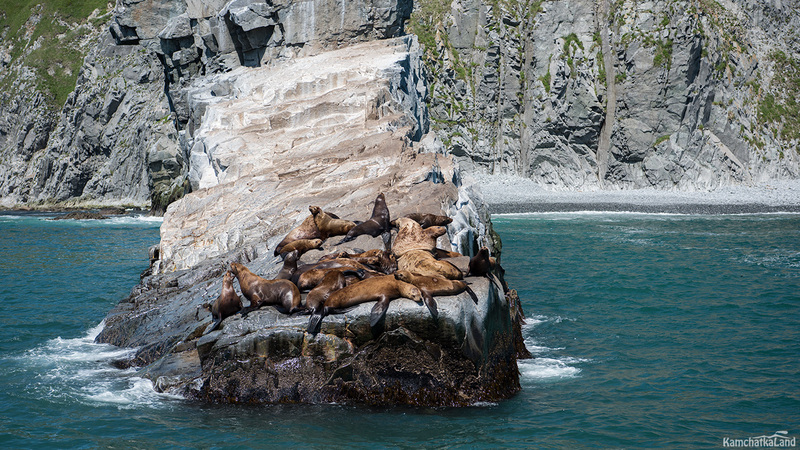 Boat trips along the Kamchatka river and its tributaries, taking photos of Steller’s sea eagle and spotted seals. 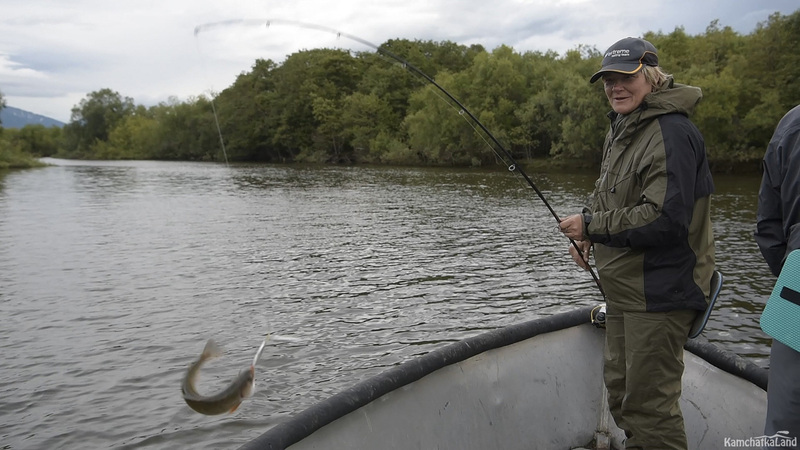 Fishing during leisure time. 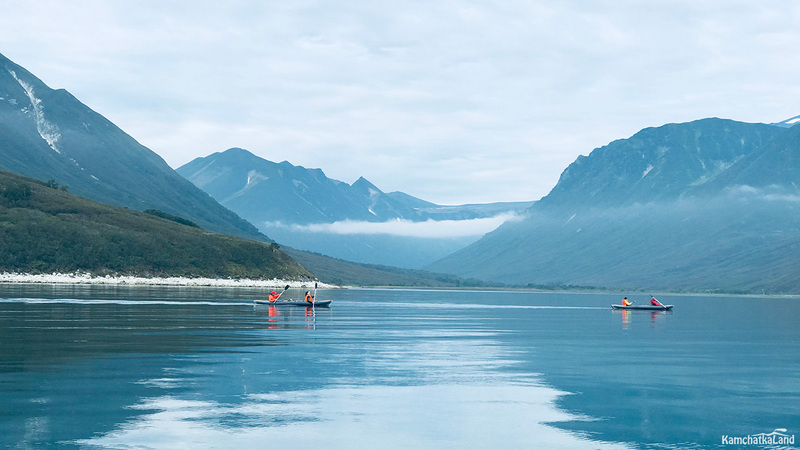 This day we plan to do calm boat trips to find interesting places for taking photos. 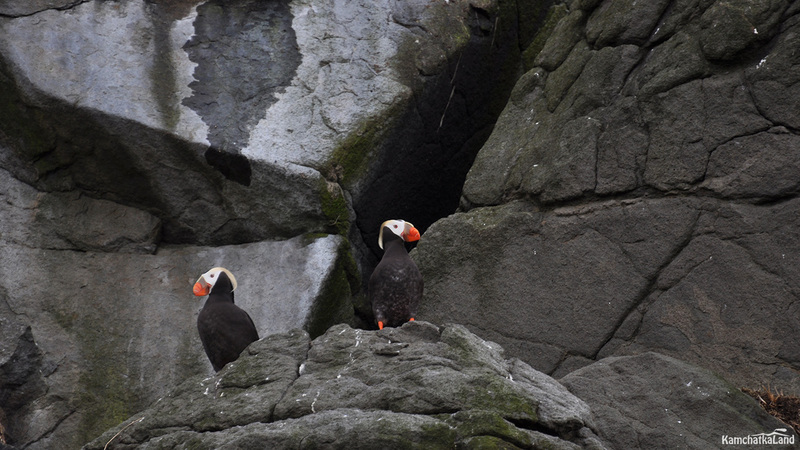 Our main goal is taking photos of Steller’s sea eagle and other local habitants. 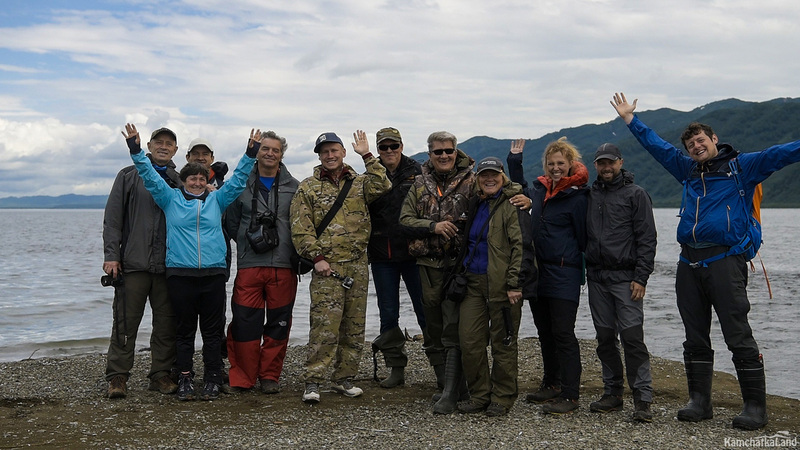 More chances to spot sea eagle’s eyrie on the trees situated on the banks of the Kamchatka river because these birds are fishers. 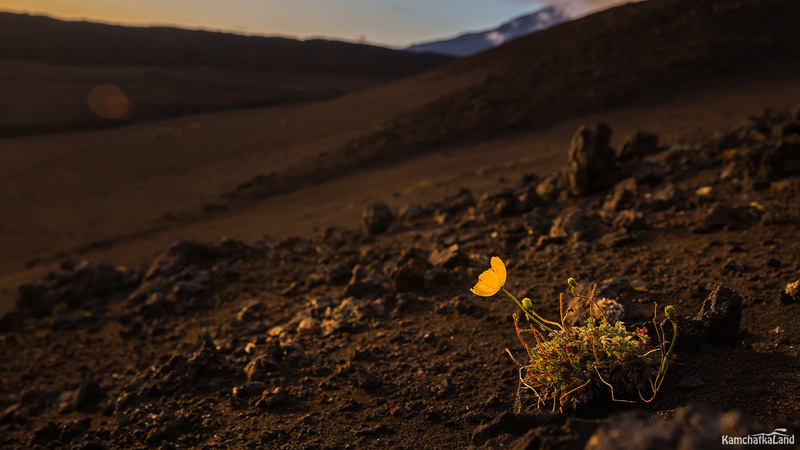 When females are hatching their young, males fly in search of food. You may even see two eagles at once, this is not rare chance. 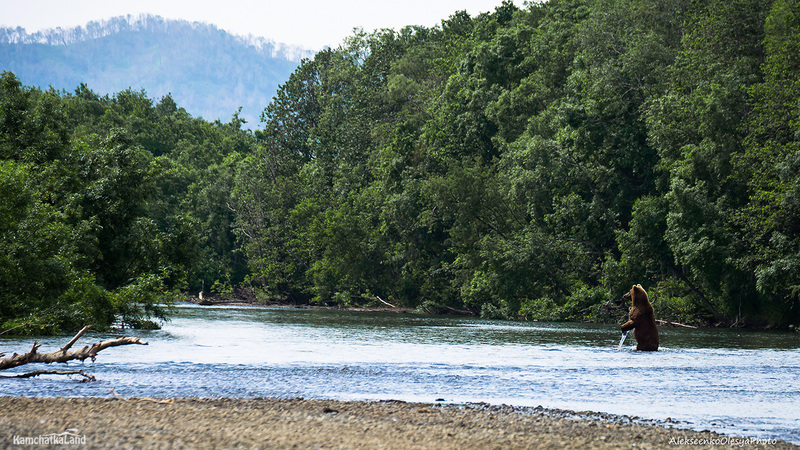 Steller’s eagles are not fearful so we may go much closer to them by a boat. 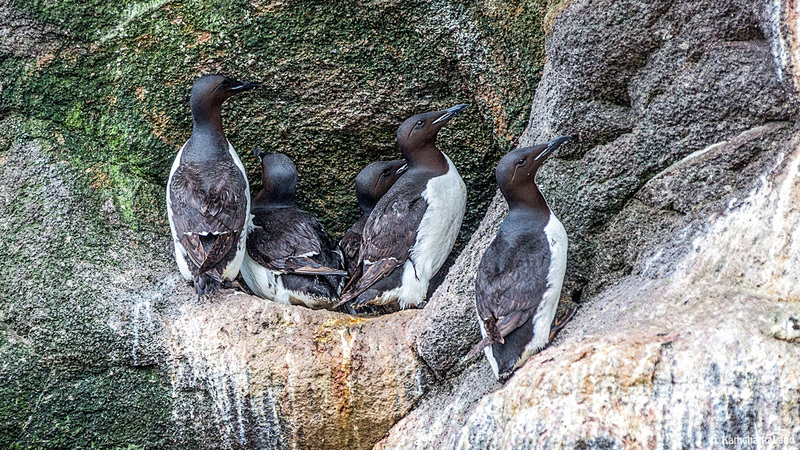 Besides we find a spotted seal’s rookery. 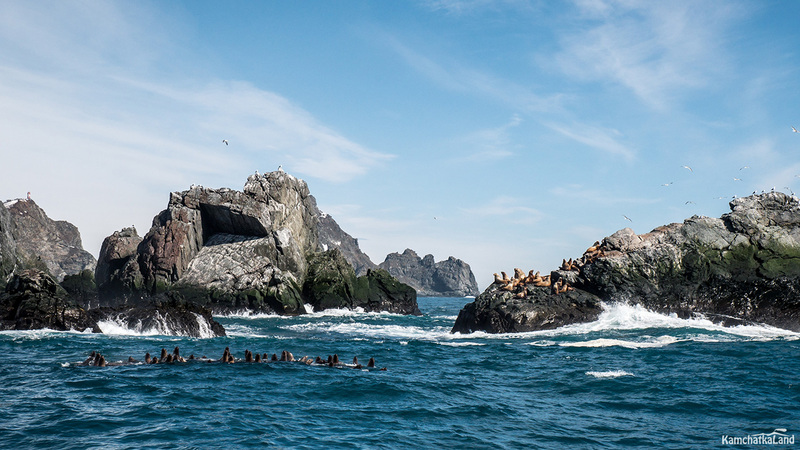 On the contrary, these pinniped animals don’t allow tourists to stand closer to them and often dive into the water when they see people. Day 9. Moving from the territory Azhabachye lake to Paratunka village. After having breakfast early morning we will go to Petropavlovsk-Kamchatsky. It will take us around 10 hours. We will have dinner at the local café of Milkovo settlement as it was in the beginning of our journey. 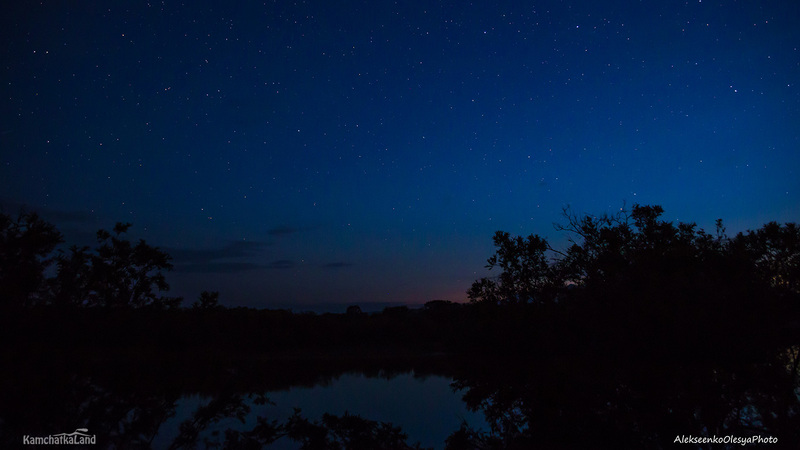 In the late evening we will arrive at our destination. Accommodating in the health-resort area of Paratunka. Early departure to the seaport is necessary for seeing all sea habitants in their places. 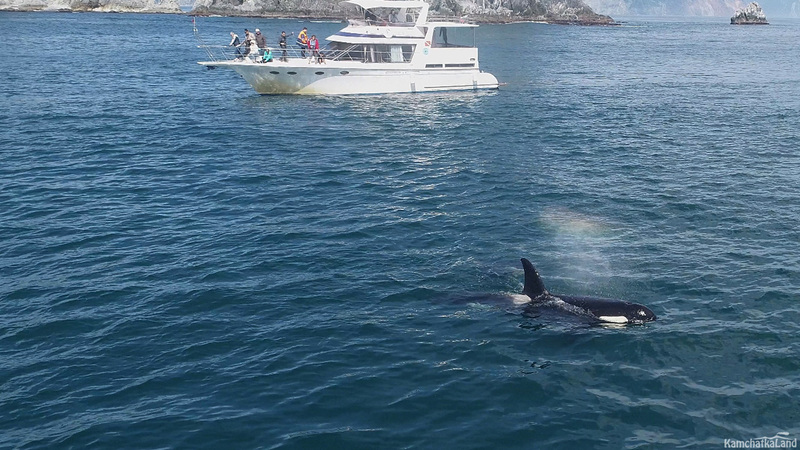 If we get lucky we can see killer whales. 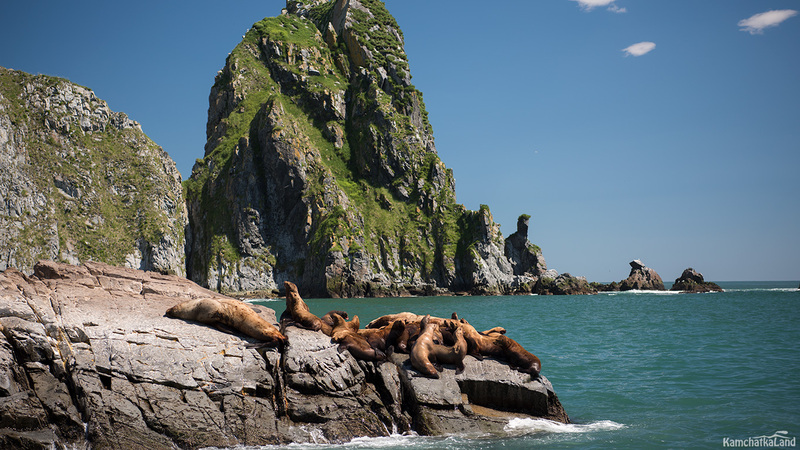 A large family of this wonderful sea animals habituates along the east shore of Kamchatka with a length of 300 kilometers. 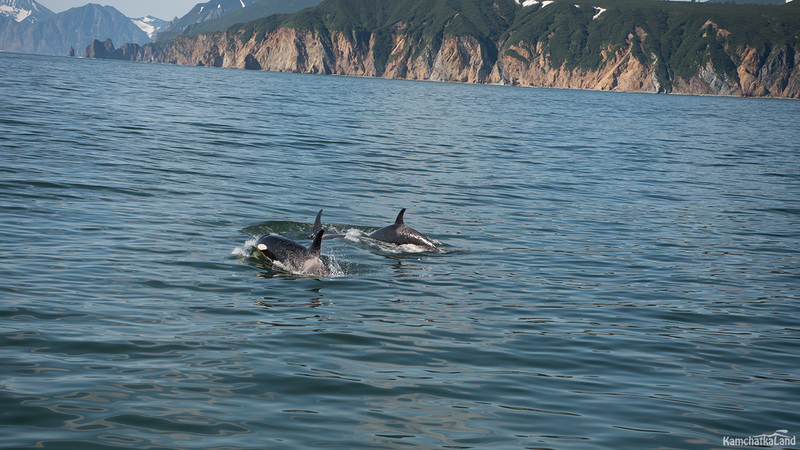 Their favorite spot is Russkaya bay. We begin our trip leaving seaport located in downtown and pootling over Avachinsky bay. 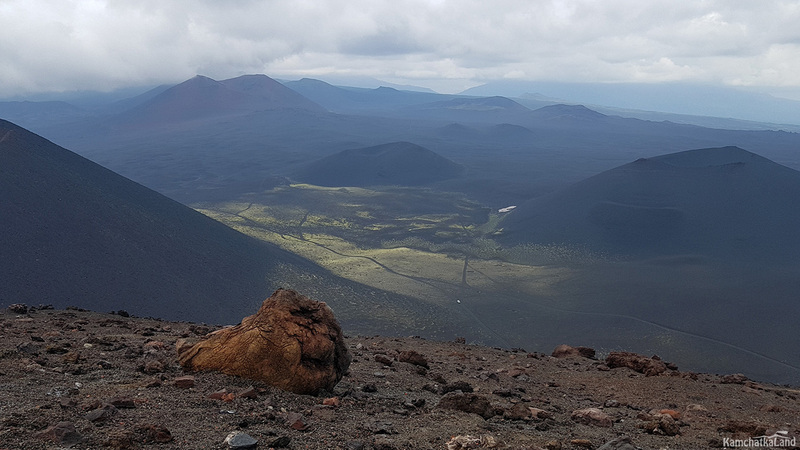 The prospect burst upon our view on Domestic volcanoes and splendid Viluchinsky volcano on opposite side of the bay and somebody can even spot Mutnovsky volcano. 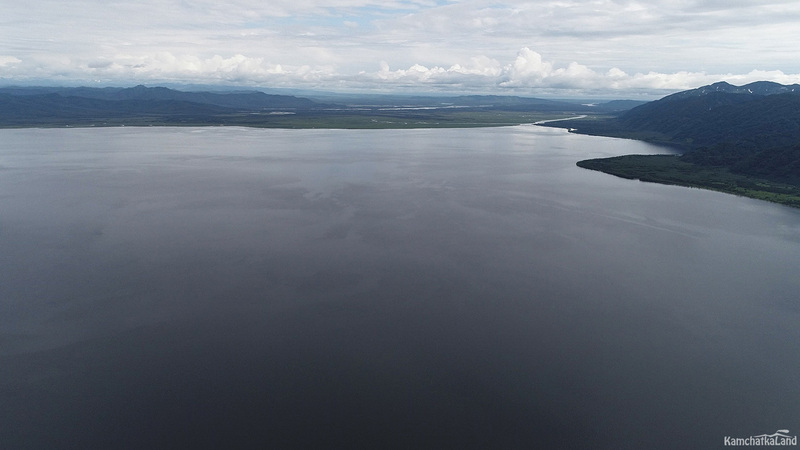 We cross the bay and reach our first place for a stop is - Tihaya bay. 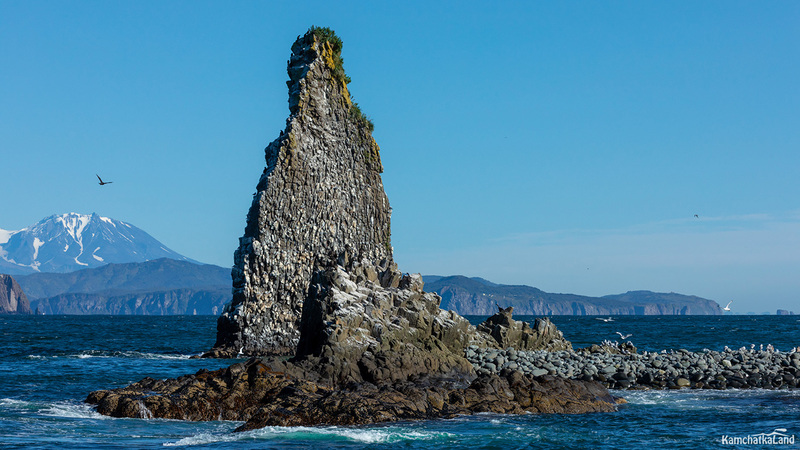 Further we head on to the gate of Avahicnskaya bay, sail past famous rocks Three brothers. 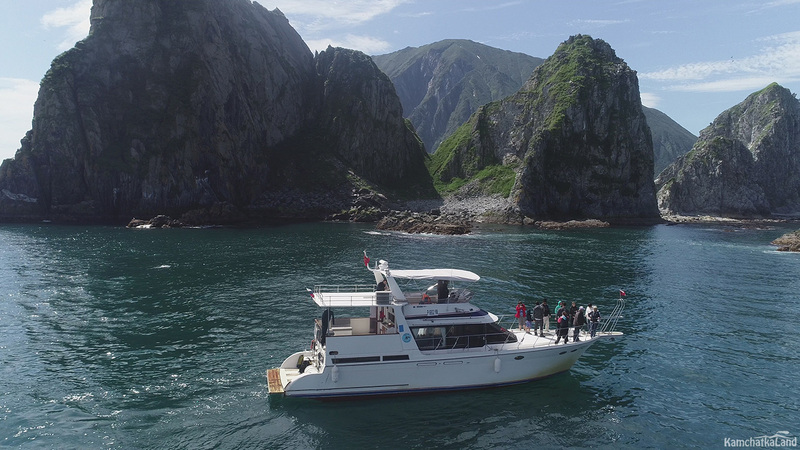 We congratulate you for entering the Pacific Ocean after crossing the line situated between two capes: Mayachny and Bezumyanny. We hope it will be really pacific! 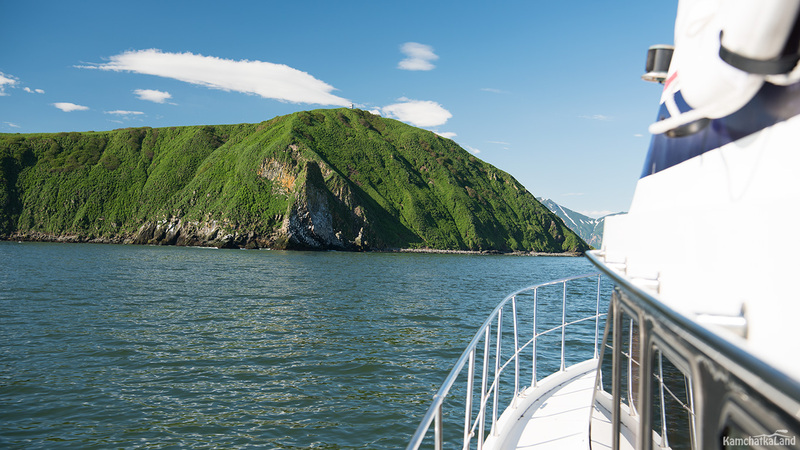 The boat is heading to Starichkov island and we continue enjoying the views of steep slopes with diverse colors. 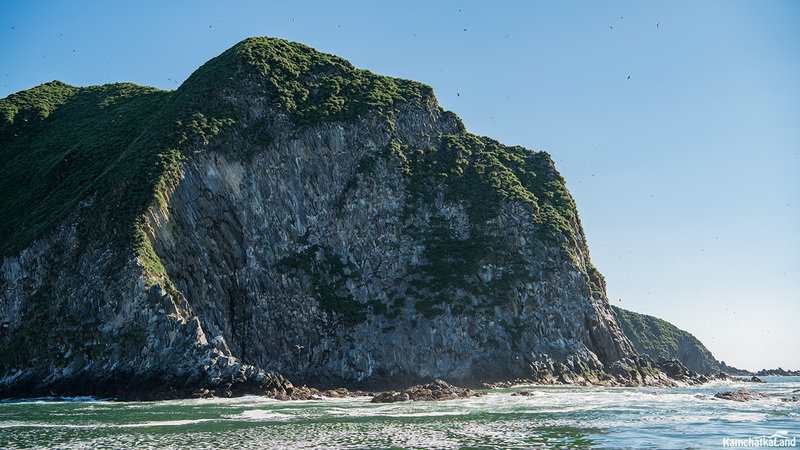 We sail around the island for watching bird’s rookery, their nests sticking out of the rock deepness and as well we frighten all spotted seals. A boat trip goes on. If you’d like to take a rest comfortable passenger’s lounge is at your services where you may have cup of tea, coffee or snack. 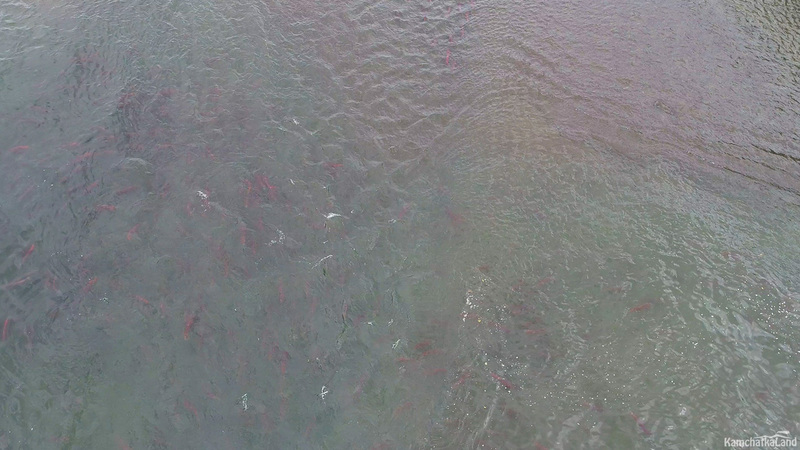 Approaching Russkaya bay everyone peers into water smooth hoping to see the black fins and blinking white spots. 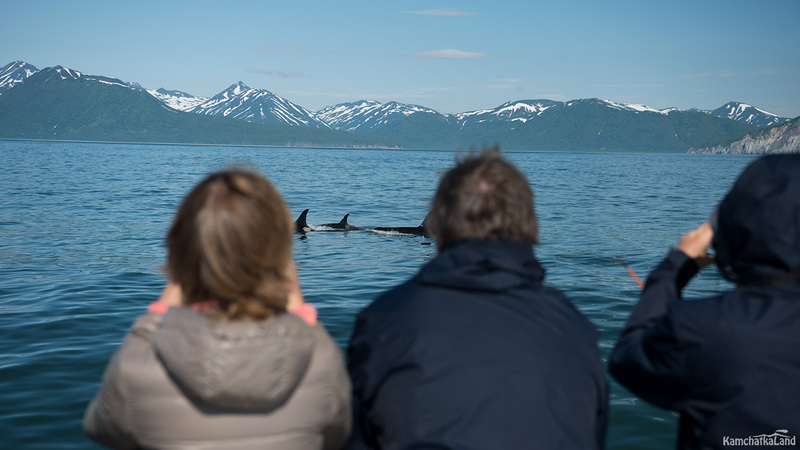 There are more chances to see killer whales with their calves and big male there. Hope we have luck! 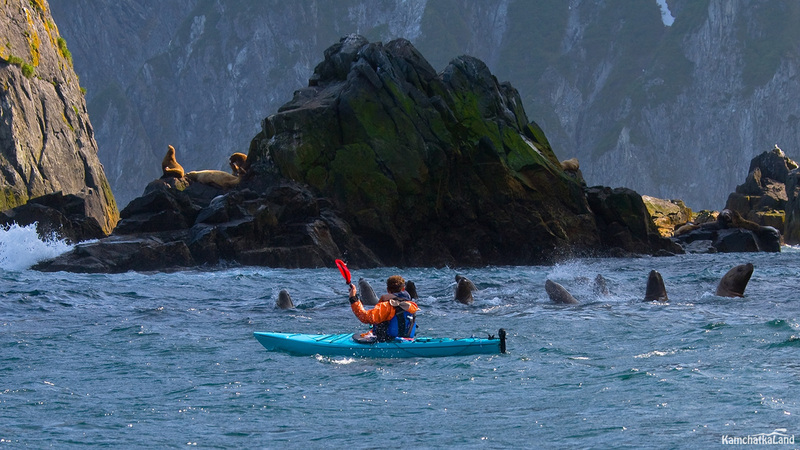 There are another habitants, – sea lions choosing Kekurny cape situated at the gate of the bay. Sailing closer and taking group photo. 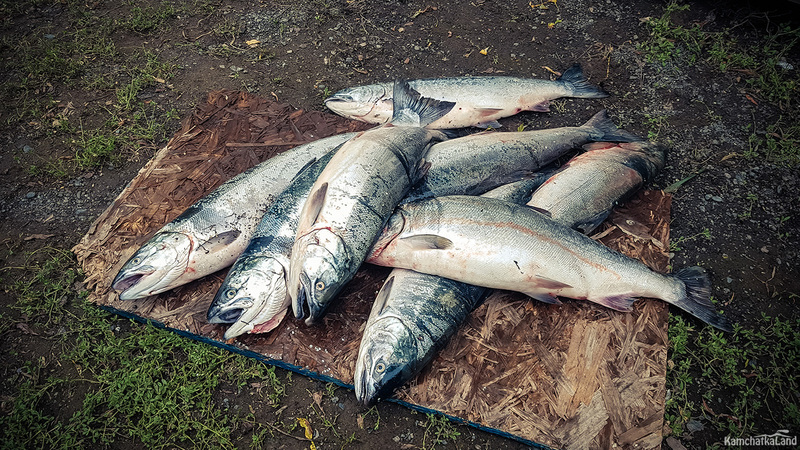 Deep sea fishing and lunch (fish soup) cooked of fresh fish you caught is planned in our program. We head back to the seaport by the evening and go to the resort area. Day 11. A sightseeing trip over Petropavlovsk-Kamchatsky city. 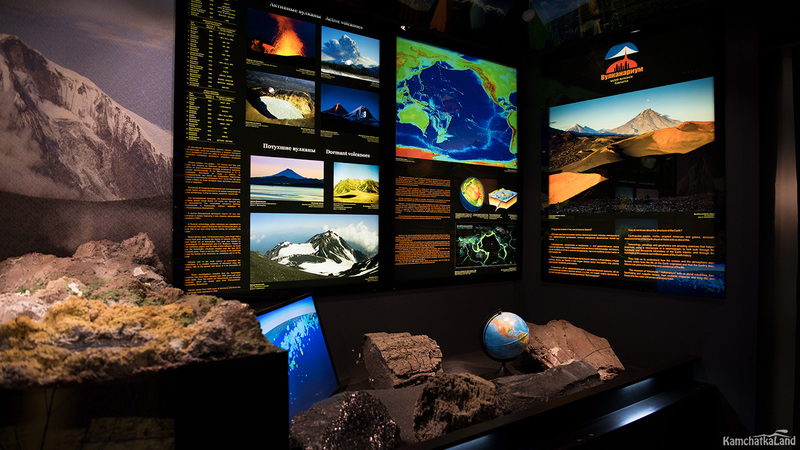 A visit to an interactive museum about volcanoes. After spending our time in wild nature, conquering all difficulties it’s double nice to return back to civilization. 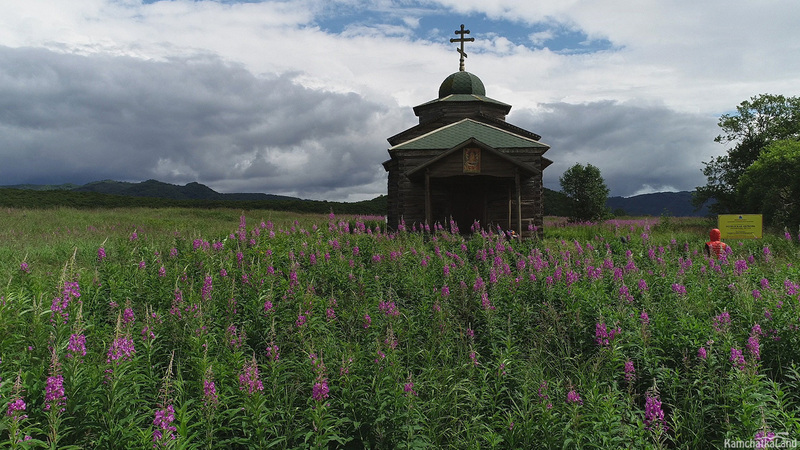 We go on one-day sightseeing historic tour over Petropavlovsk-Kamchatsky city on the eleven day of our tour. 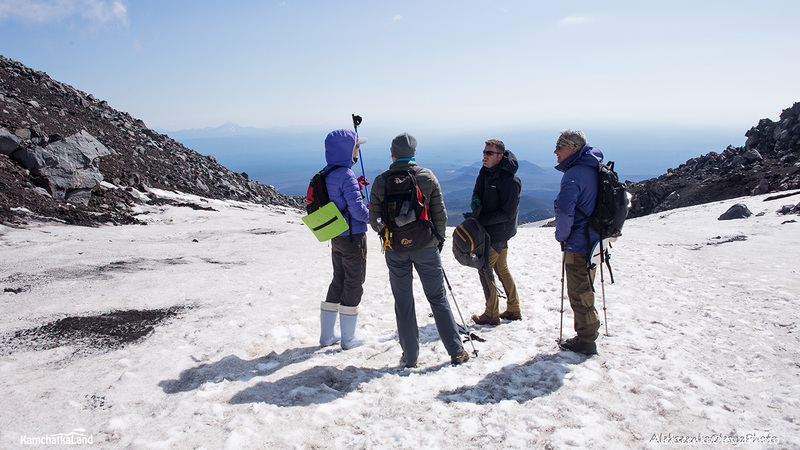 We do the most popular trip over Nikolskaya sopka accompanied with a guide and get known from what the city started to build. 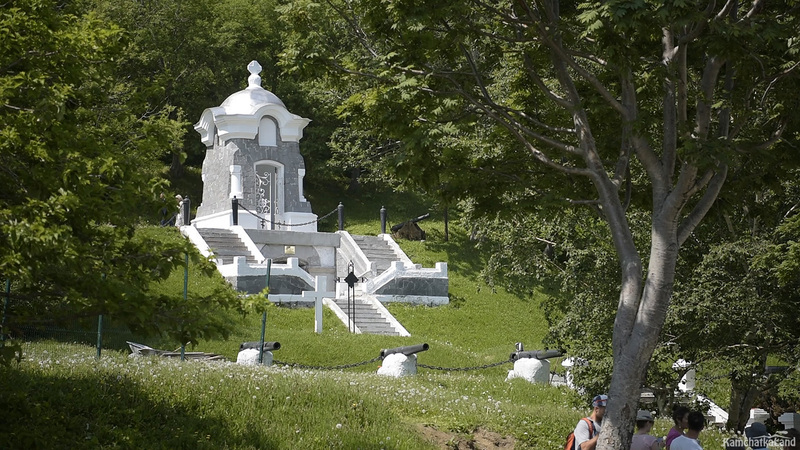 We can see the oldest street of Petropavlovsk-Kamchatsky, brave soldiers’ and famous travelers’ monuments. 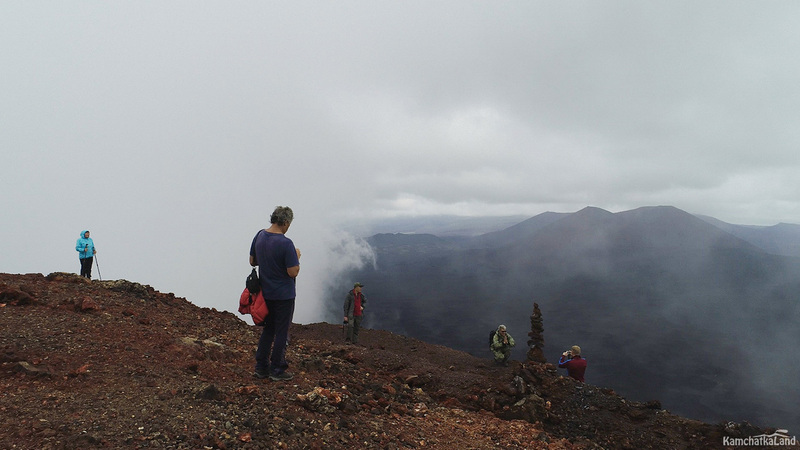 We ascend to the viewpoint to take photos of splendid city prospect situated between volcanoes and ocean. 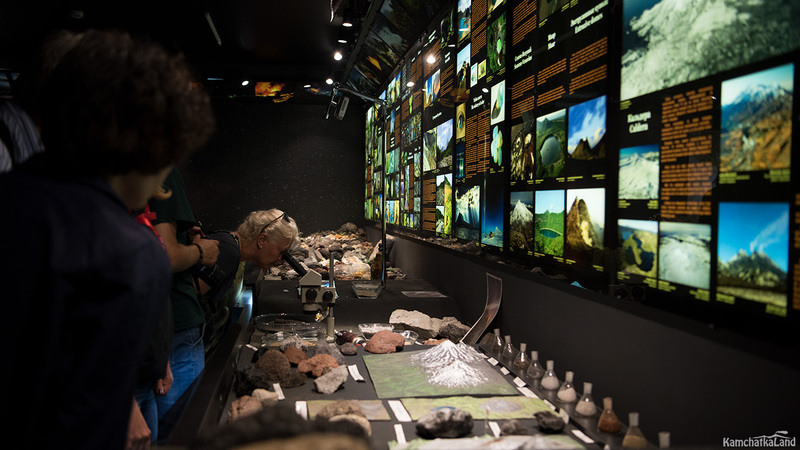 Undoubtedly we need to make a stop in the new interactive museum Volcanarium. 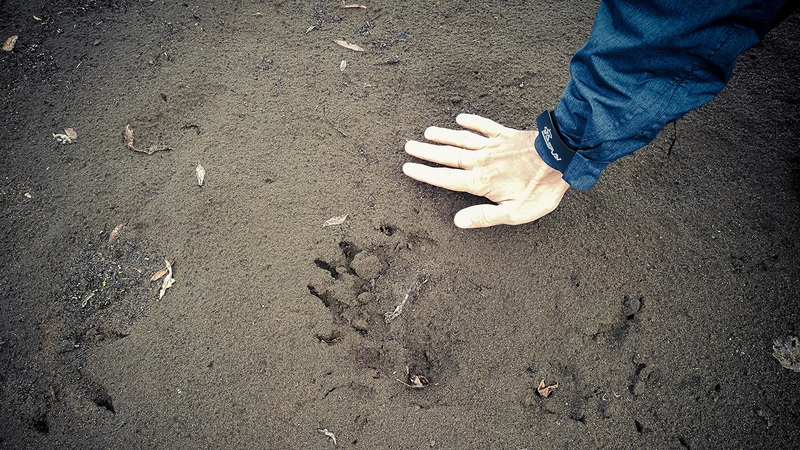 It was established by well-known around Kamchatka volcanologist Sergey Samoylenko. 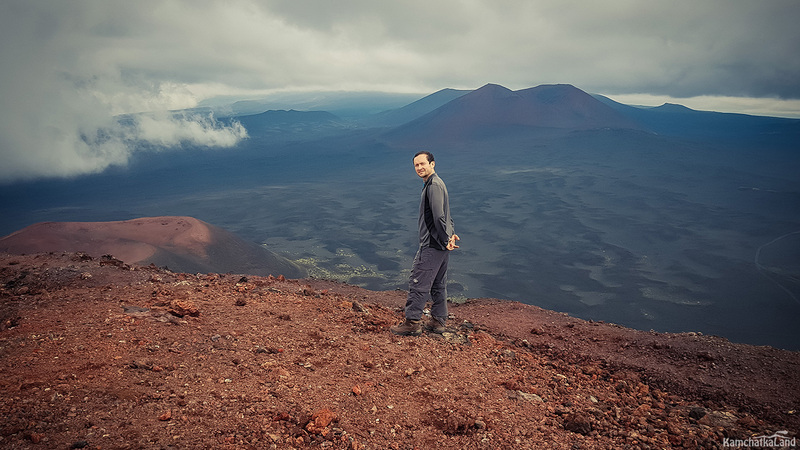 Sergey created this place with all his heart and invaluable experience. There visitors can know a lot of mysteries about our Earth formation and can take part in some forming processes. 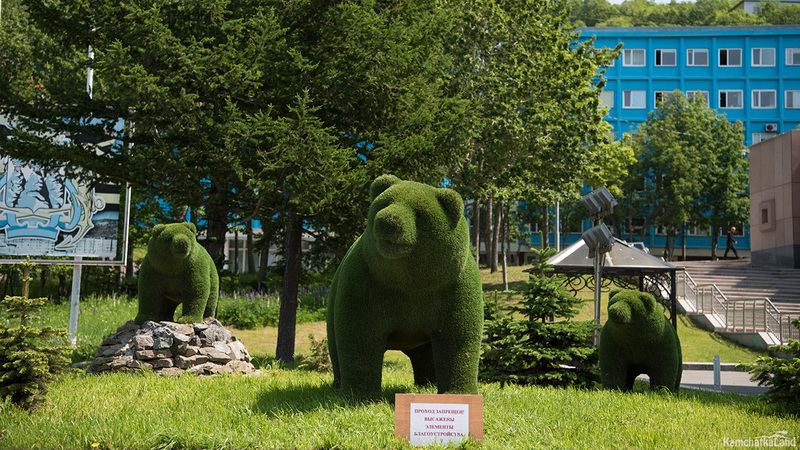 Transfer you to the airport with a stop near a statue of bears named as Russia begins here.